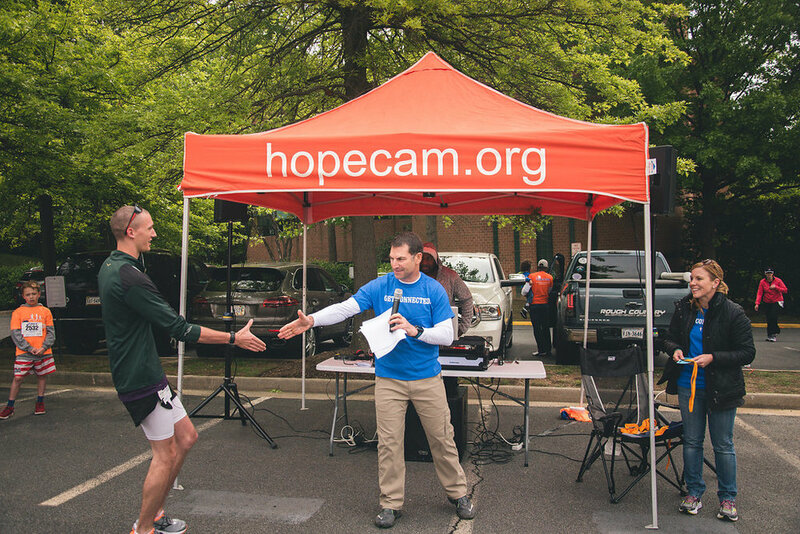 This past weekend, seven cyclists raised over $10K for Hopecam! 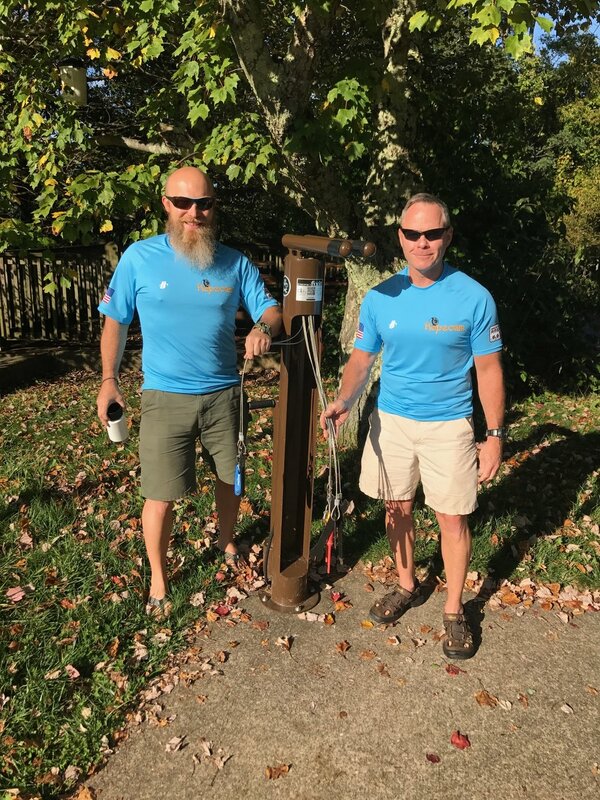 They biked 200 miles in two days from Front Royal, VA to Waynesboro, VA and back to help children with cancer. 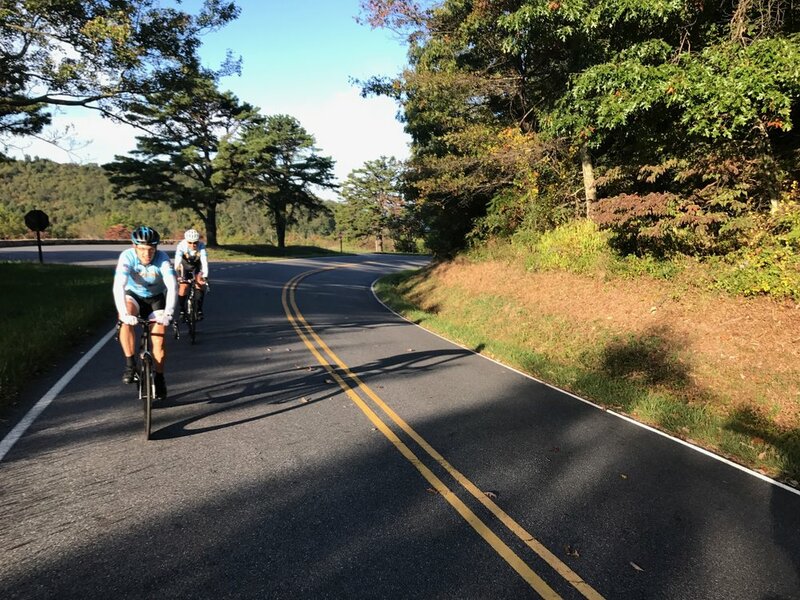 The cyclists tackled 18,000 vertical feet of climbing on Skyline Drive at Shenandoah National Park. 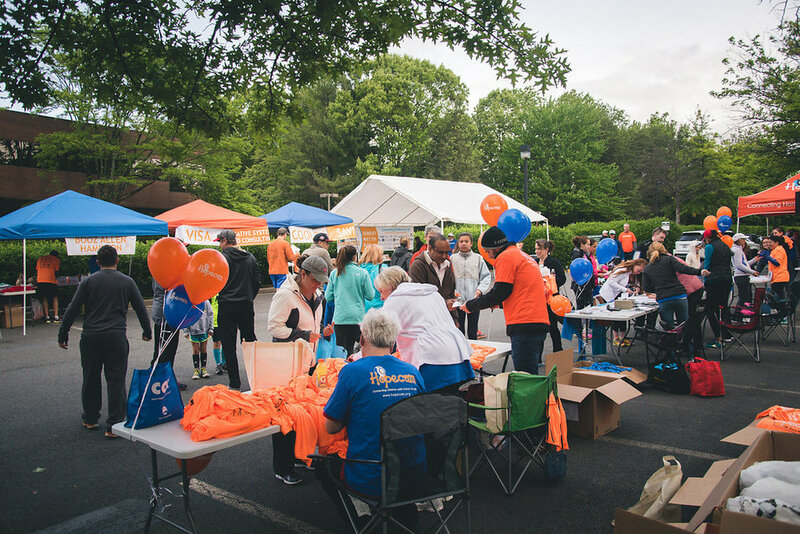 Thank you to all the volunteers who supported the cyclists and to our Board Member Leigh Ann Schultz who helped organize the event! 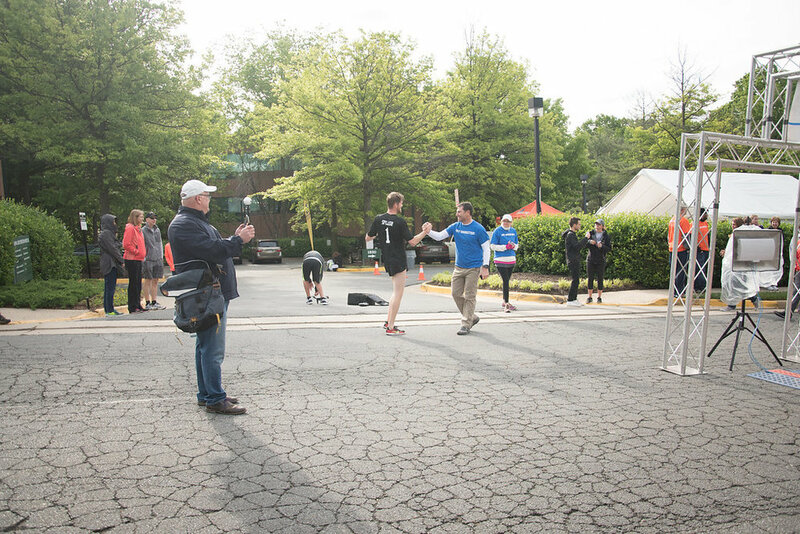 Hopecam founder Len Forkas was a speaker at the TEDx Tysons event on June 10th, 2017. 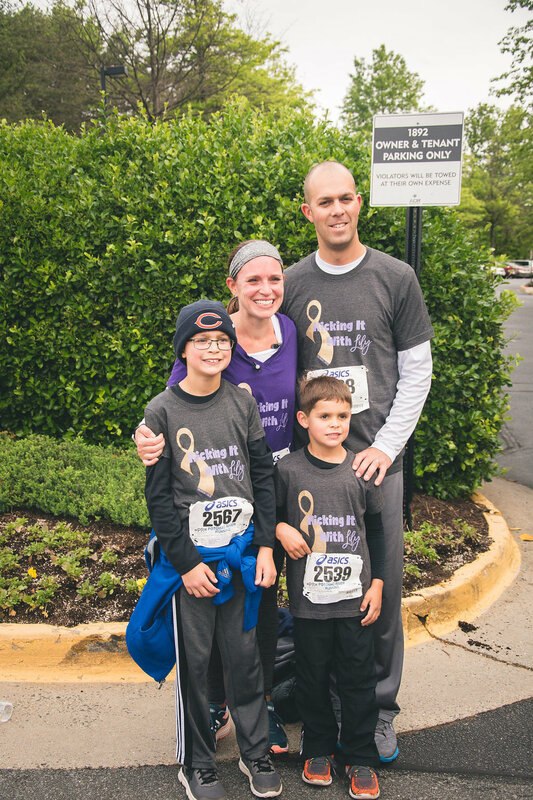 When Len Forkas found out his 9-year old son had leukemia, he was scared and he wanted to help. 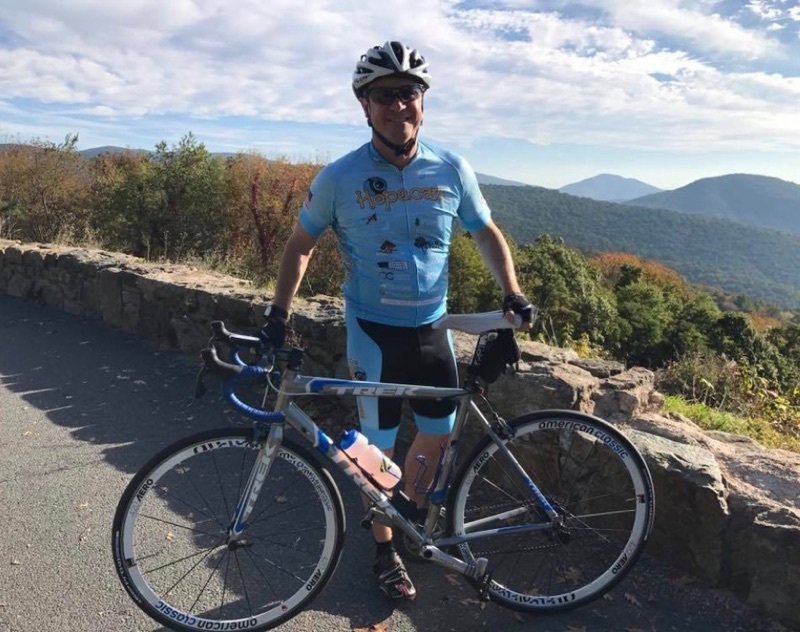 He turned to endurance races to manage his stress and started a nonprofit to help connect kids with cancer Len takes his audience on a 3,000 mile, 11 day solo bike race with his 11 person all volunteer team sharing lessons such as the power of forgiveness and gratitude, knowing your limits and honoring roles. 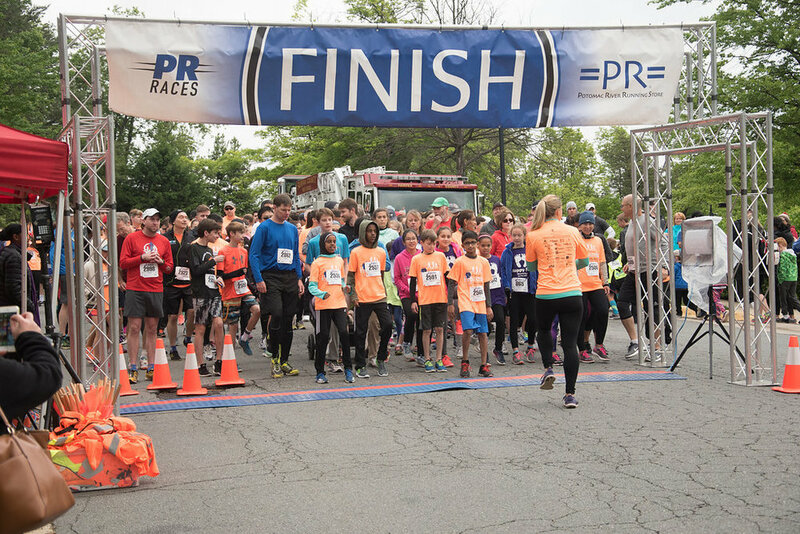 Registration is limited to the first 25 riders. 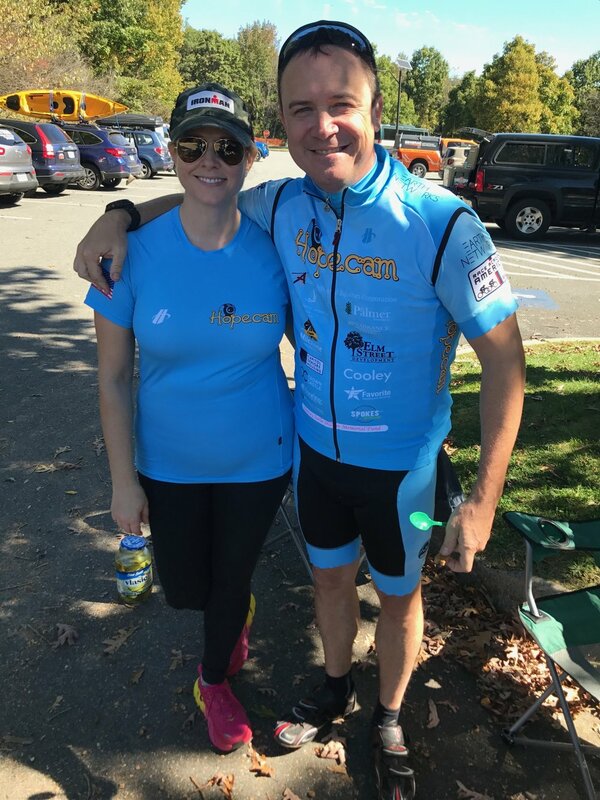 The Skyline Ride benefits Hopecam. 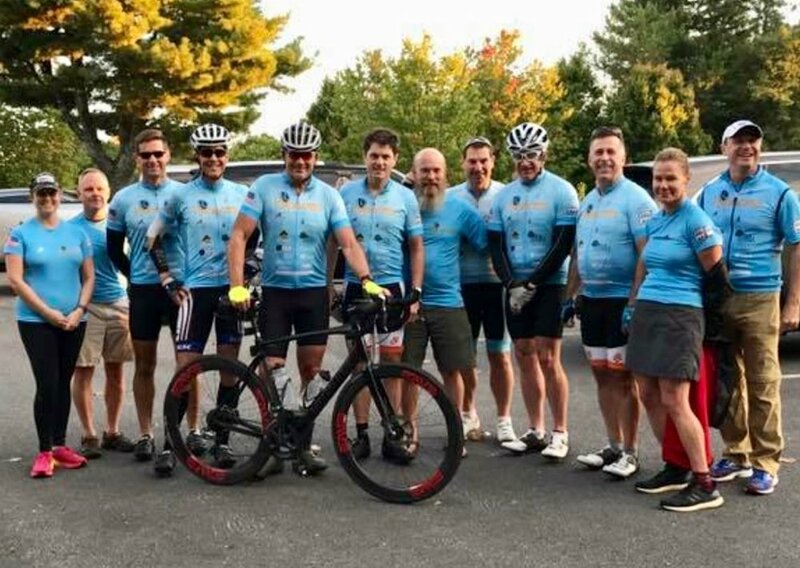 This charity ride is for cycling enthusiasts who want to help kids feel the power of connecting with friends while undergoing cancer treatment. 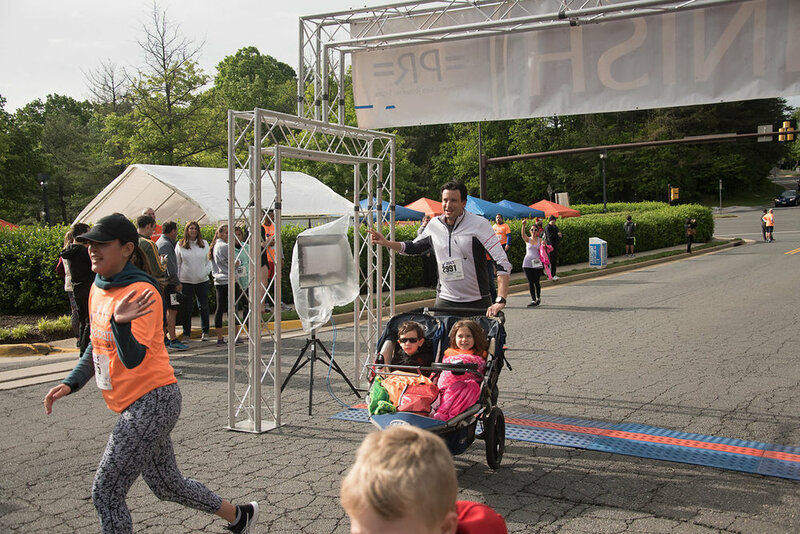 It's more than a ride. 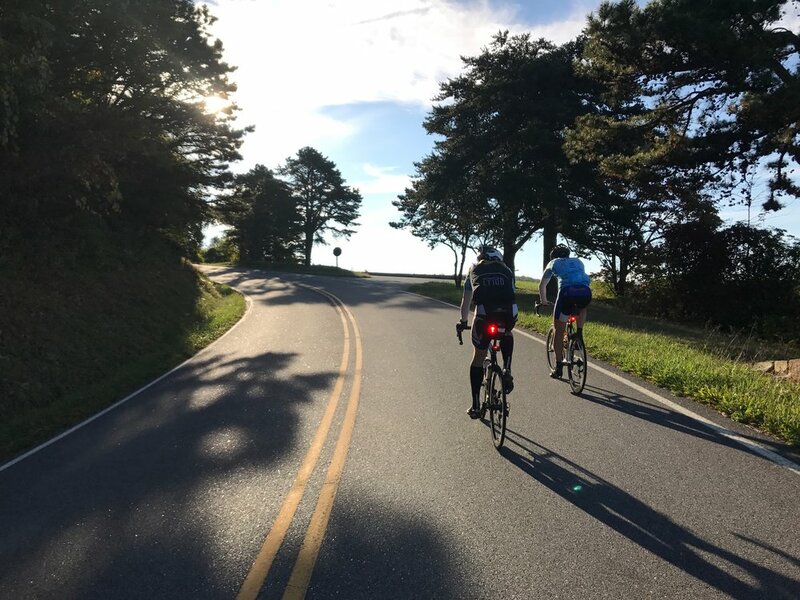 Twenty-five cyclists will get to complete a bucket-list ride along Skyline Drive in the beautiful Shenandoah National Park with full support. 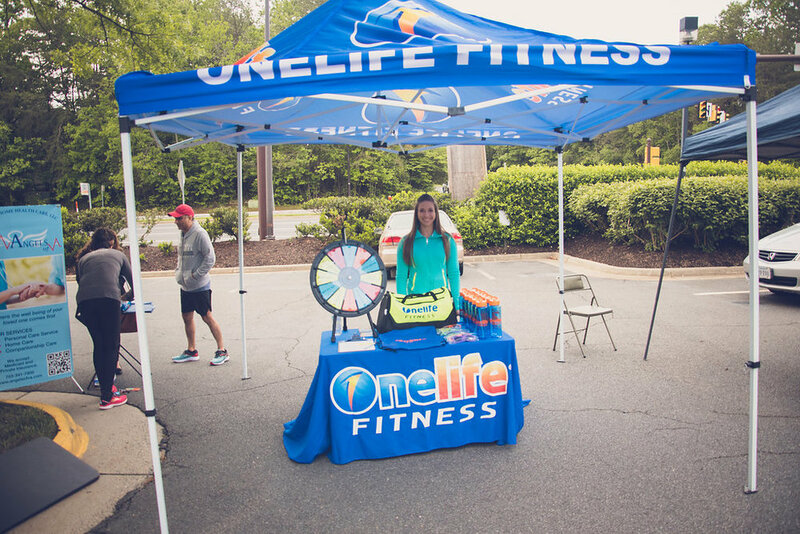 Experience it like a pro. 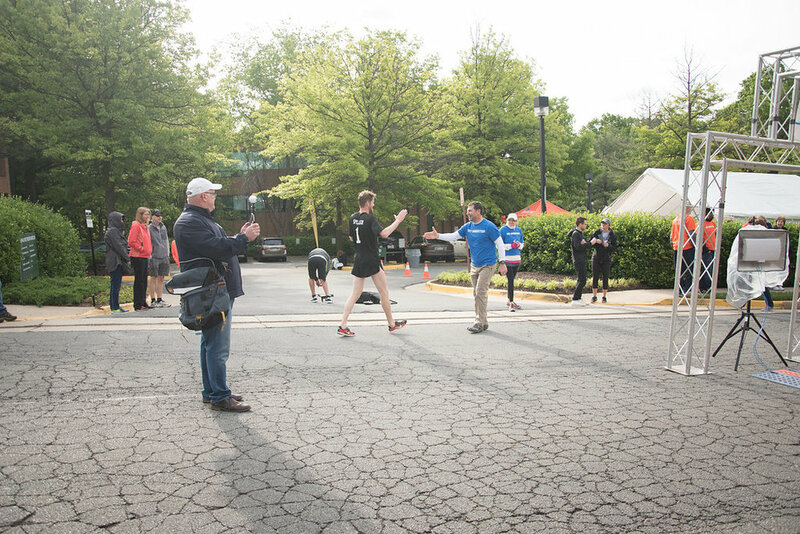 Len Forkas and his son Matt were interviewed by NBC4 News to discuss Hopecam and his upcoming Race Across America. 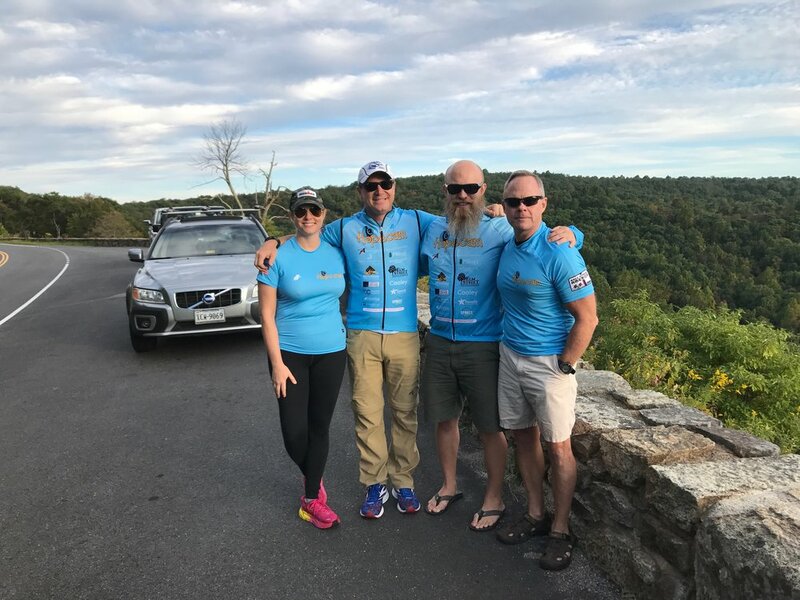 Watch the Video segment here: "Virginia Bicyclist Races Across America to Benefit Children With Cancer". 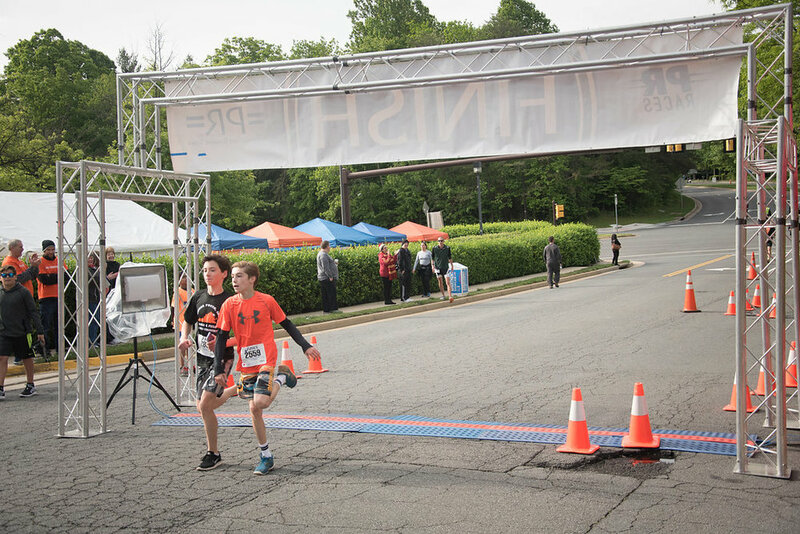 Hopecam founder Len Forkas was interviewed by Michael J On Air on 98.7 WMZQ this week. 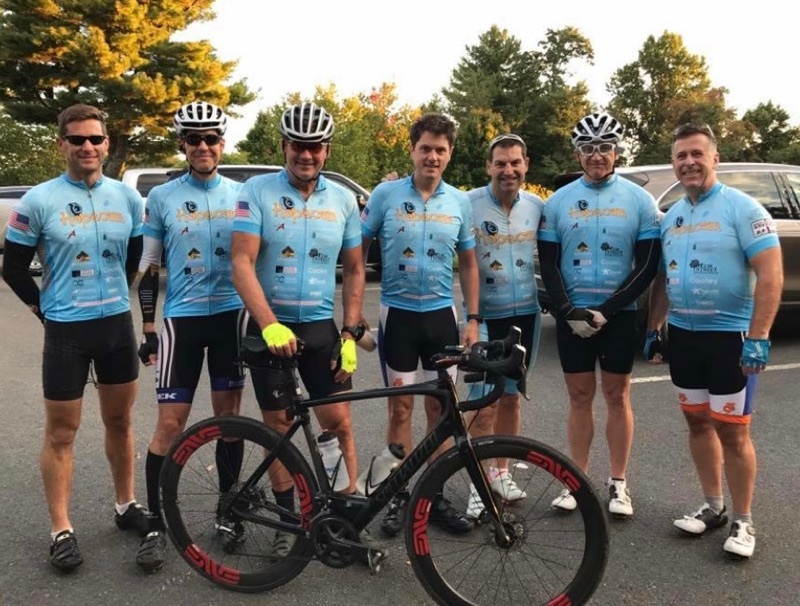 Listen to the on air interview and read Michael J's blog post about Hopecam and Len's upcoming Race Across America here: "Len Forkas is Setting out on a 3,089 Mile Bike Race For Cancer Victims". 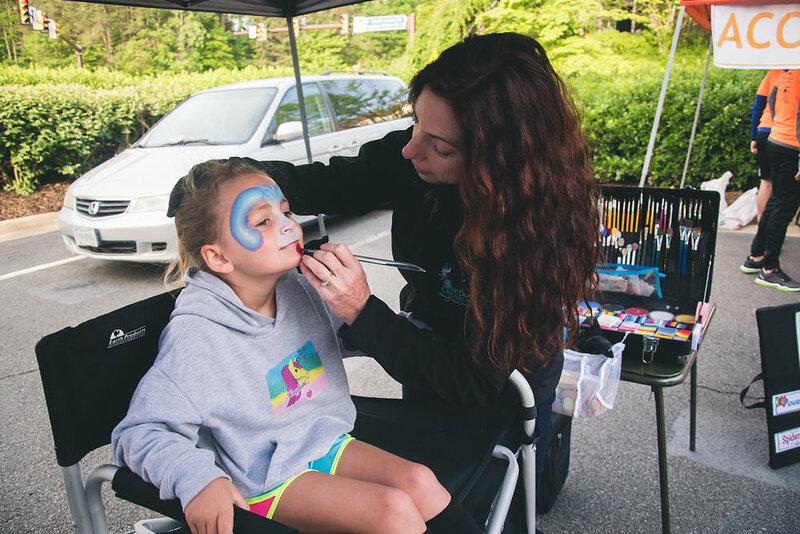 Our Hopecam Development Director Lauren Priestas, was recently interviewed by Kathryn Falk (Cox Communications 'Yurview') to discuss how Hopecam helps children with cancer avoid social isolation by providing tablets and webcams to help them connect with their classrooms and friends. 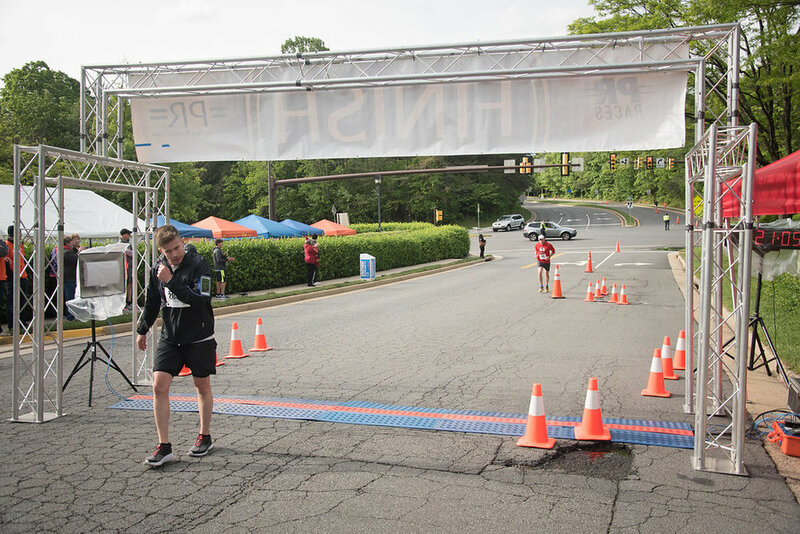 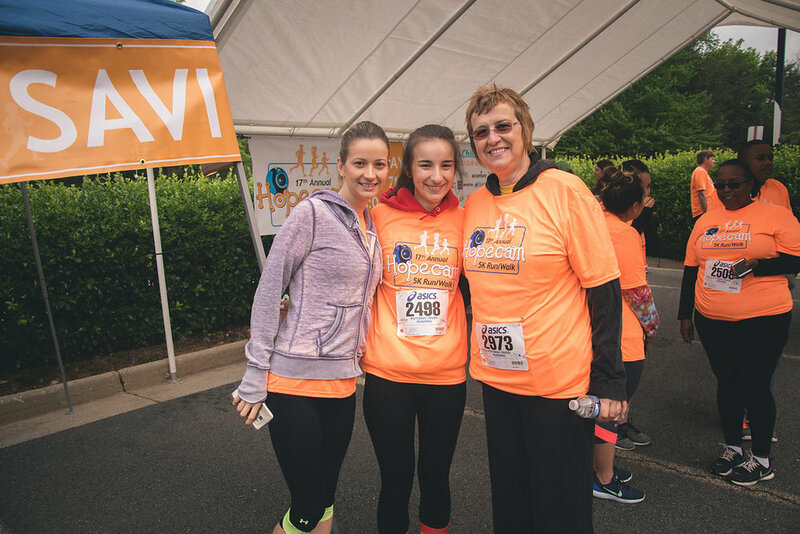 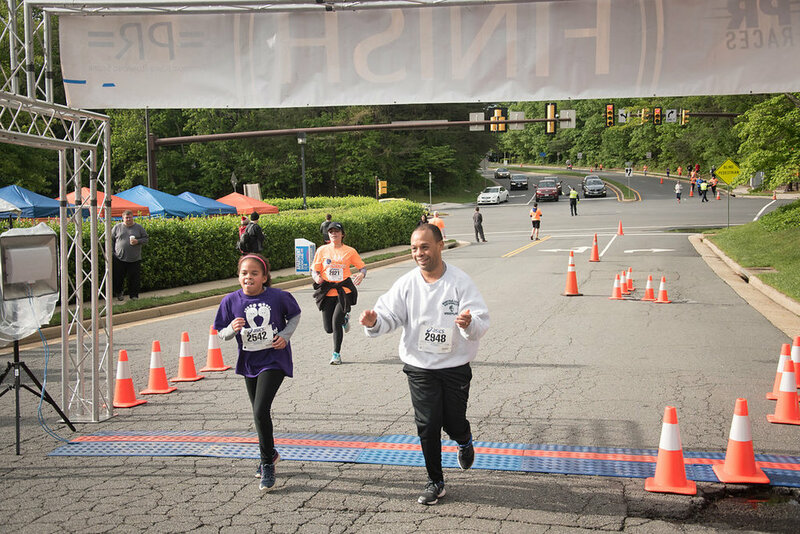 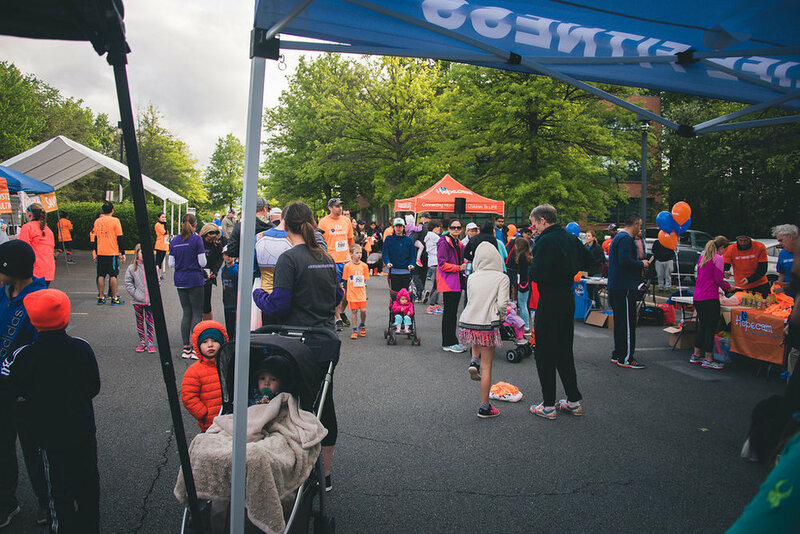 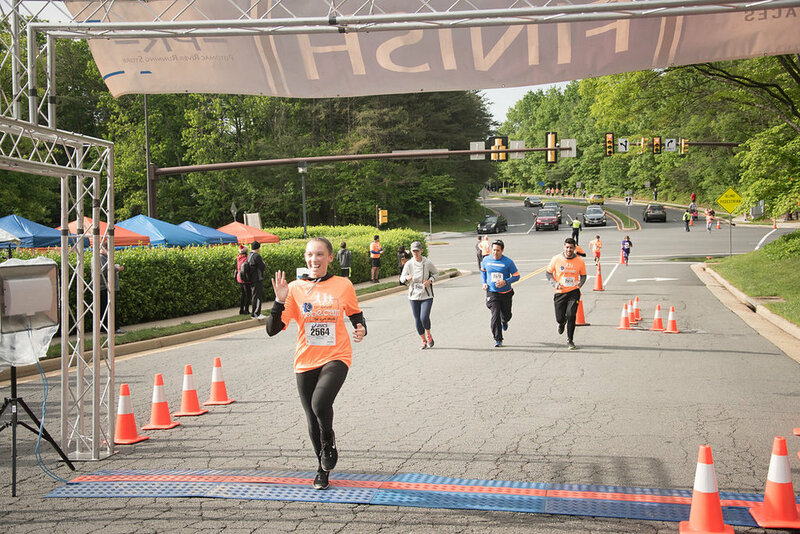 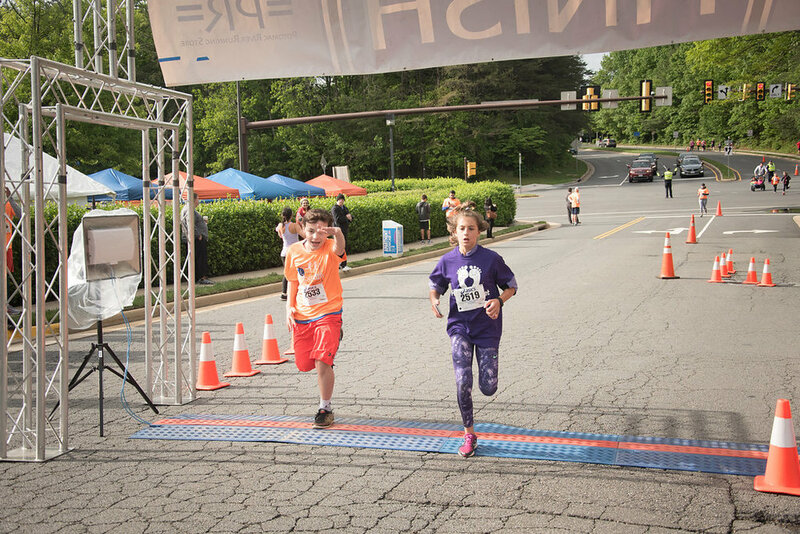 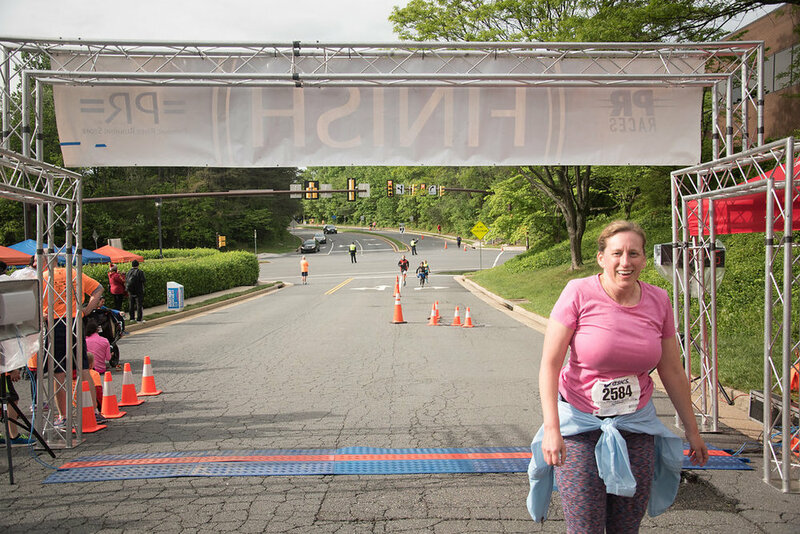 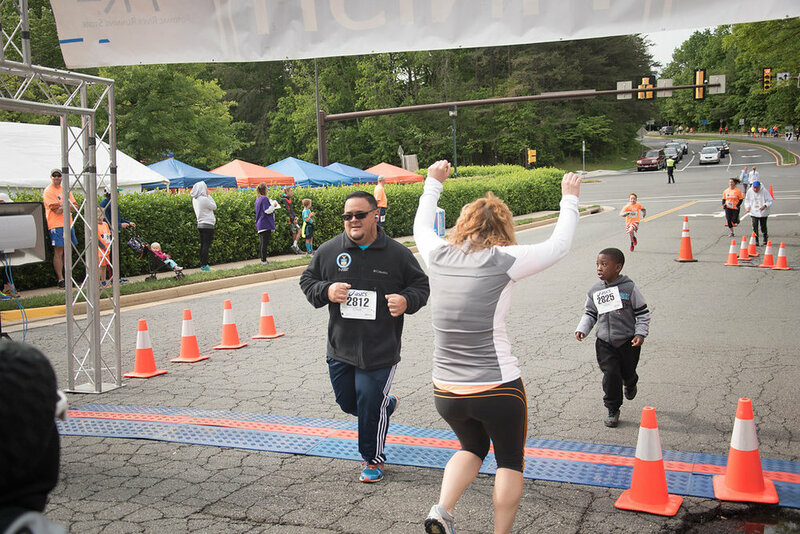 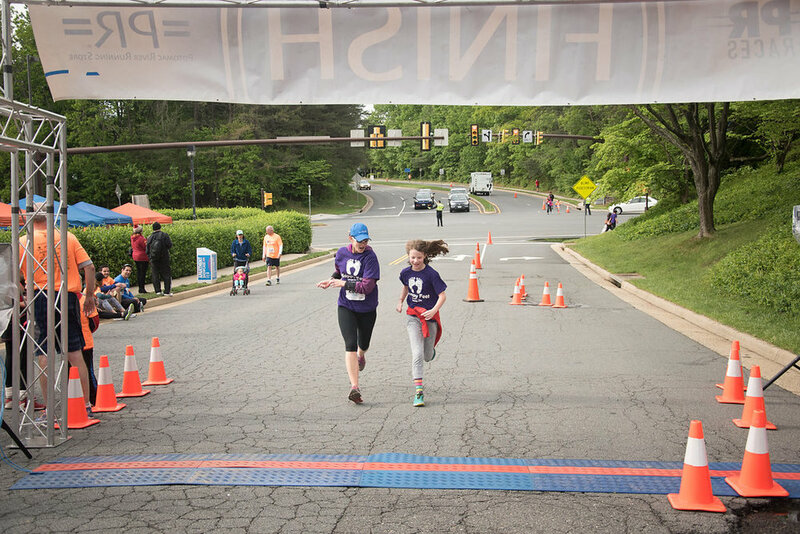 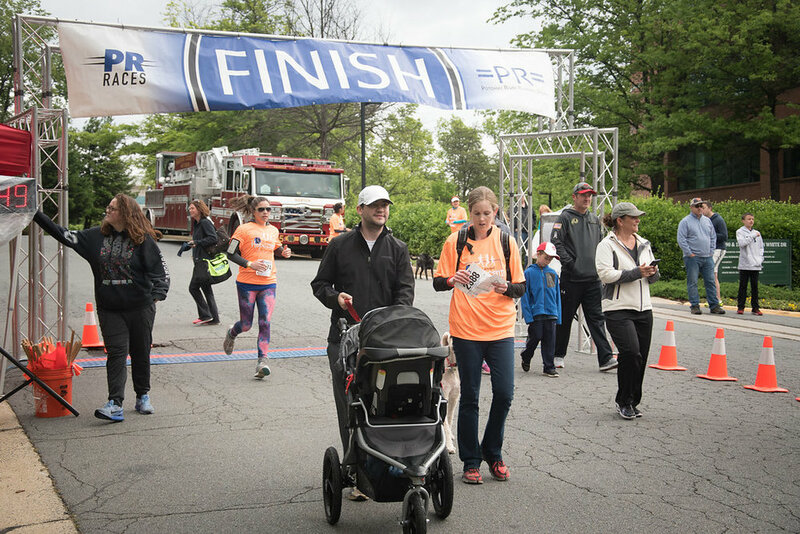 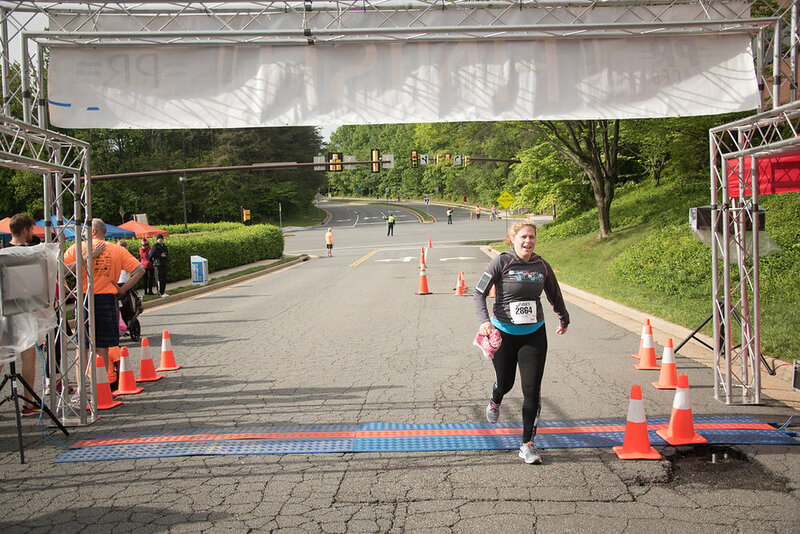 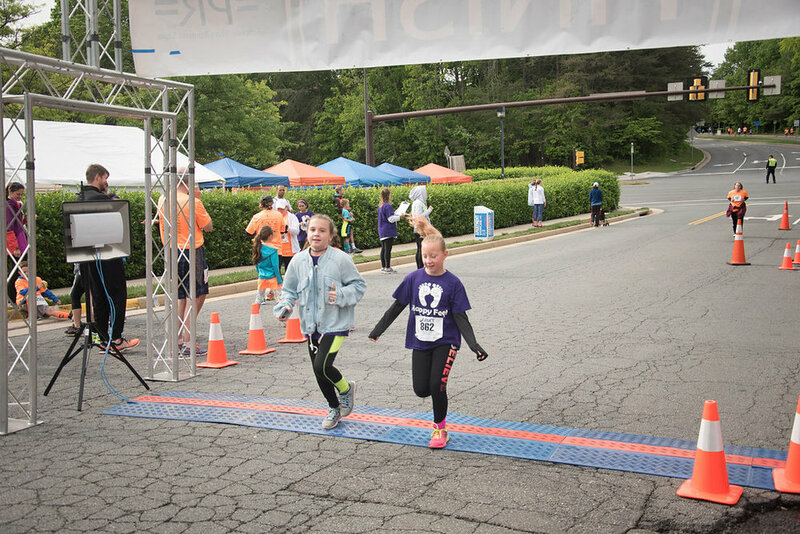 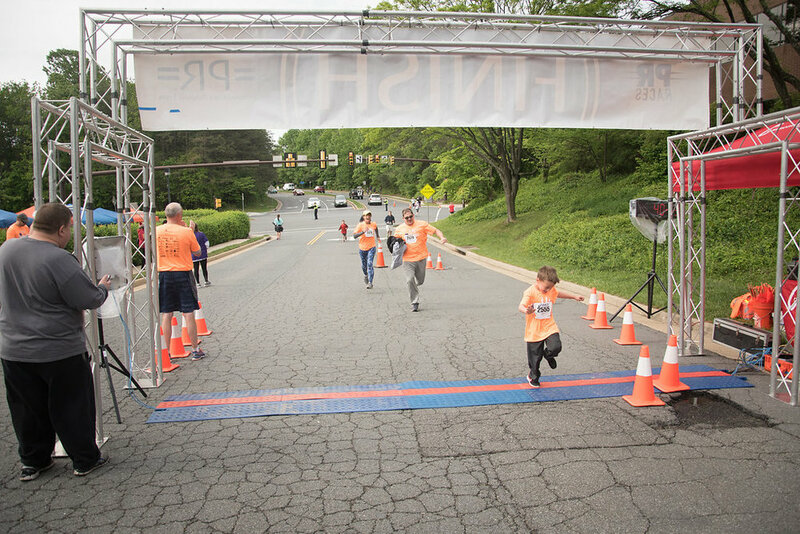 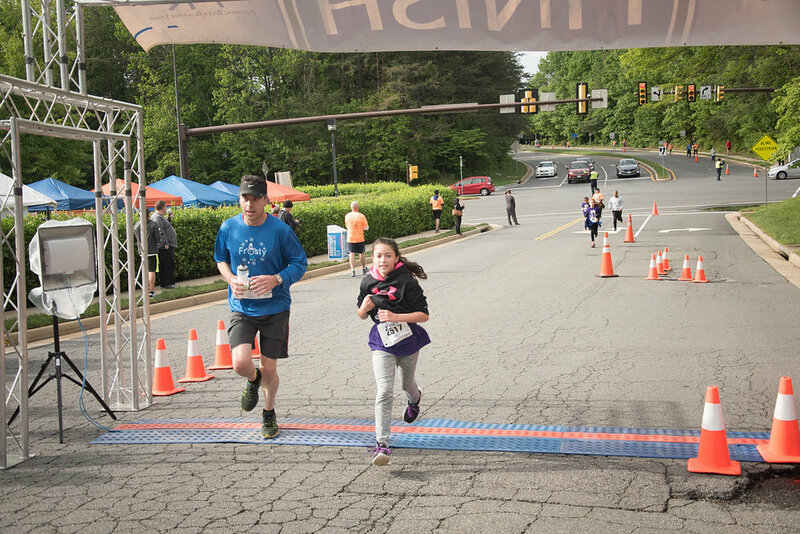 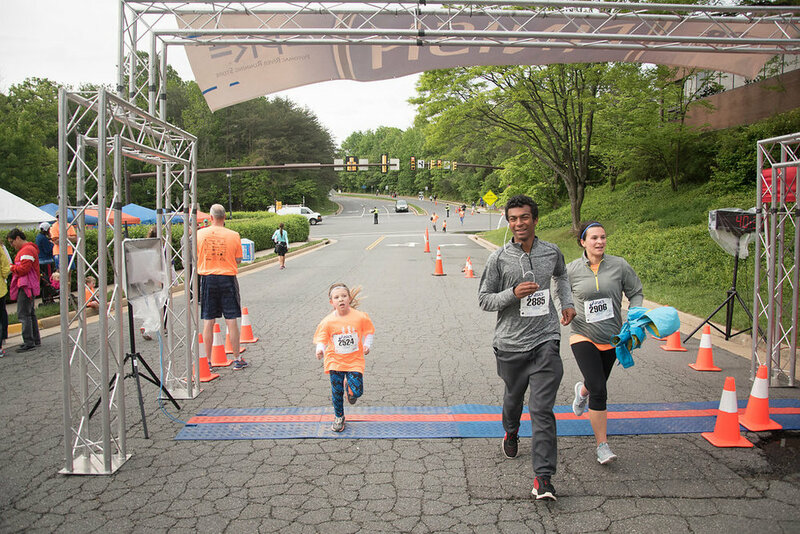 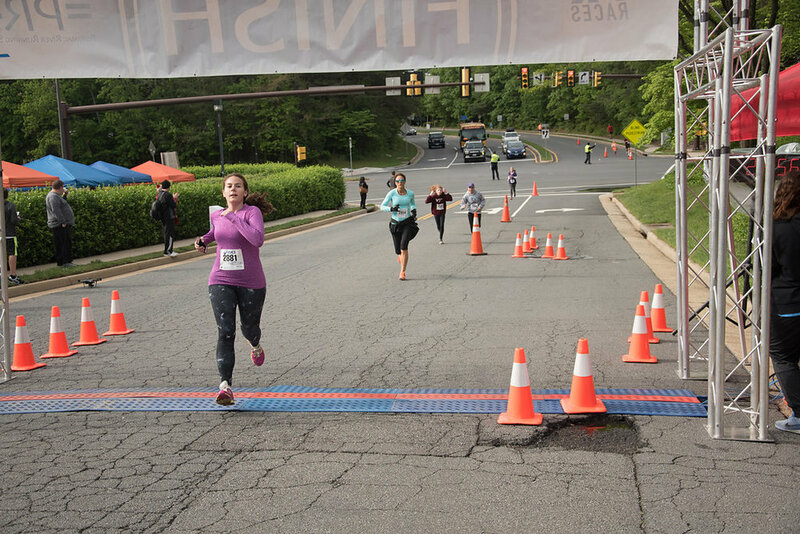 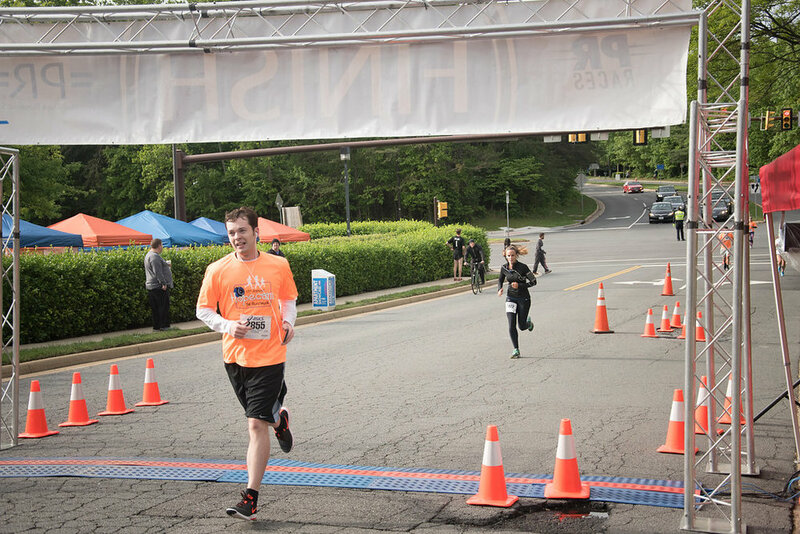 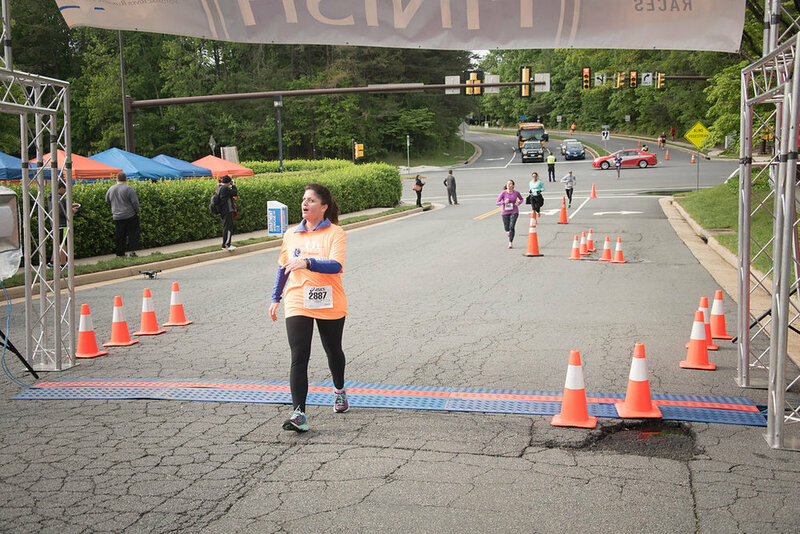 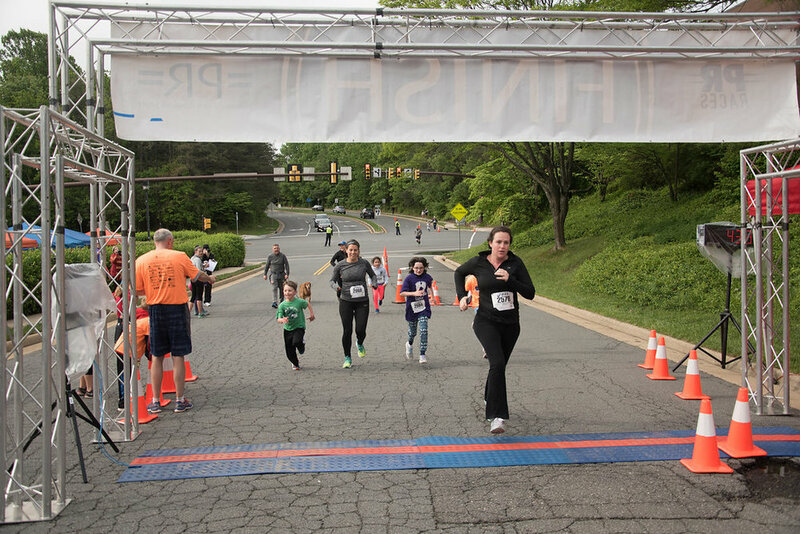 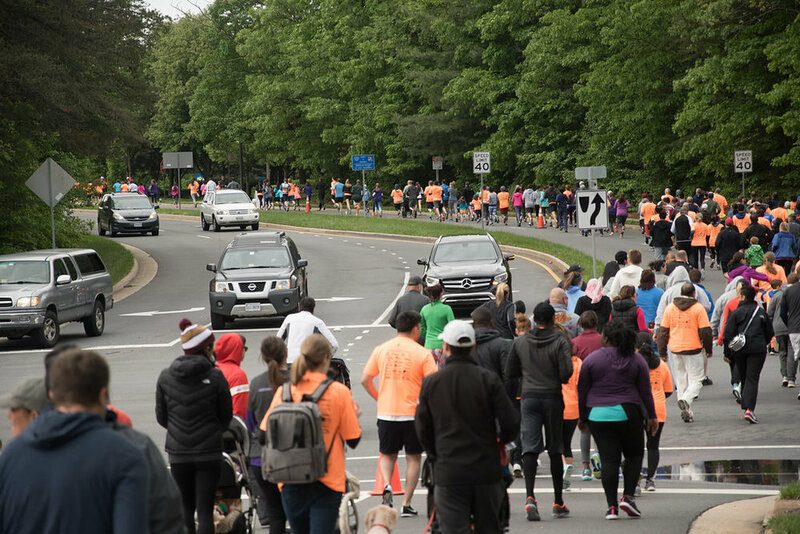 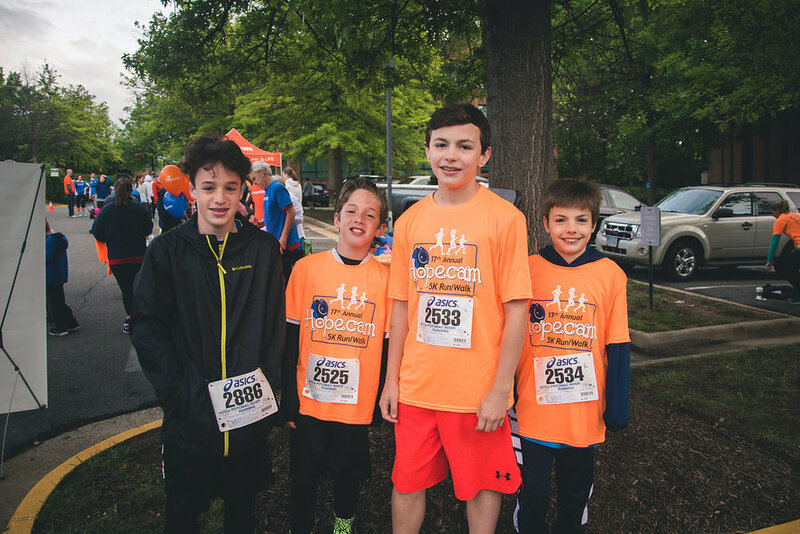 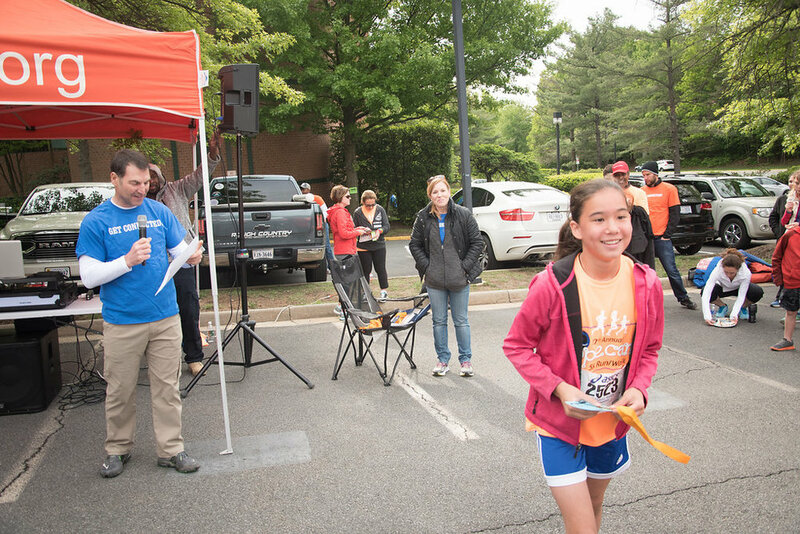 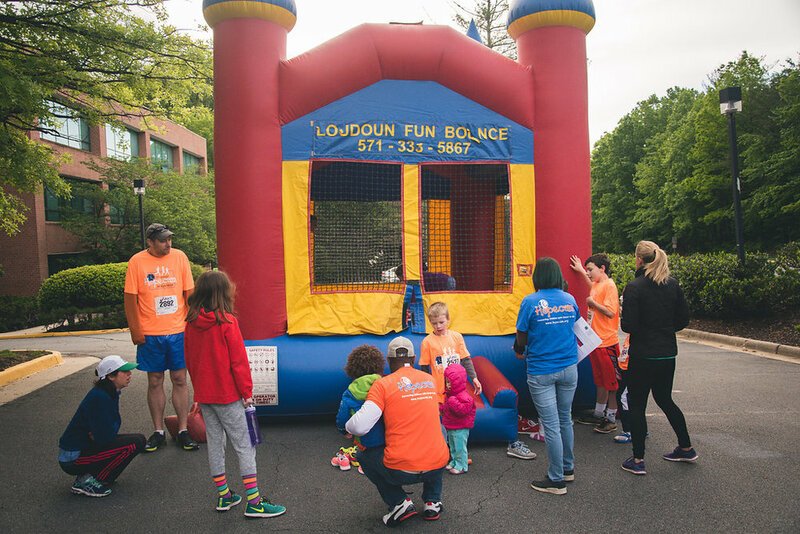 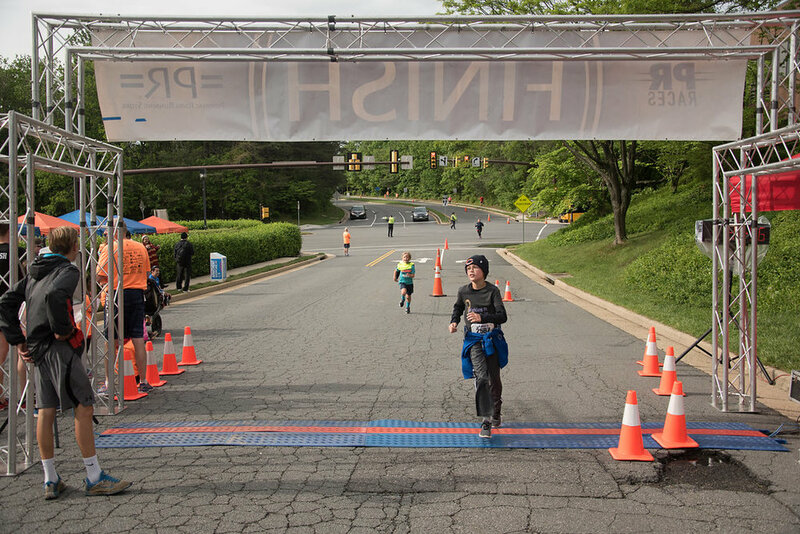 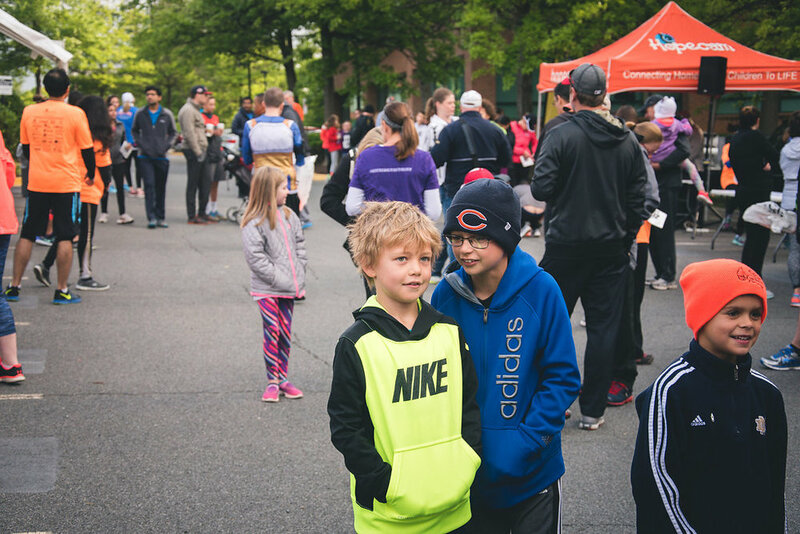 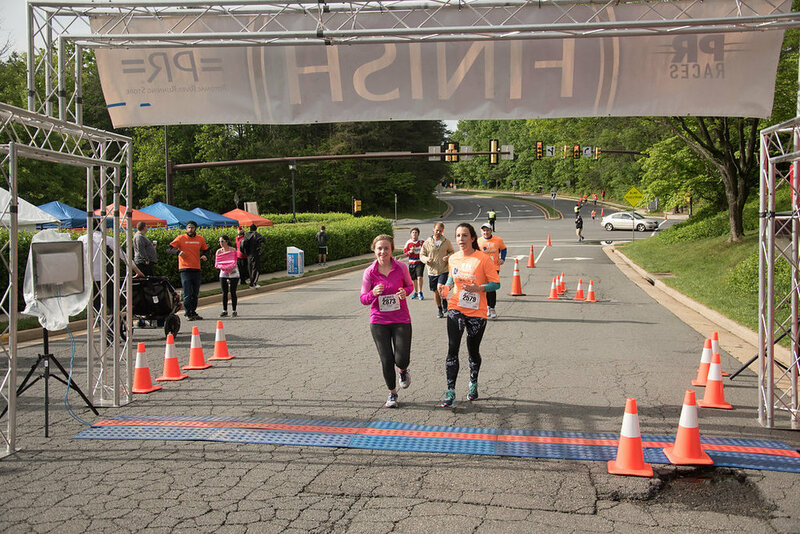 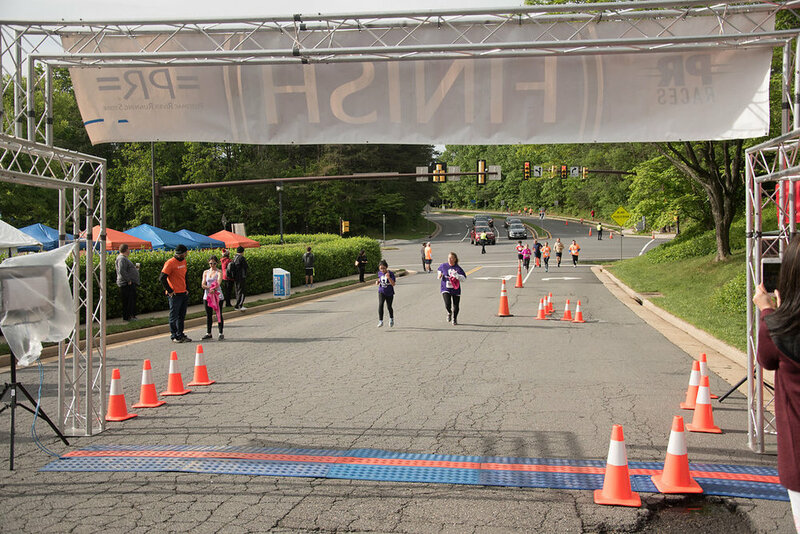 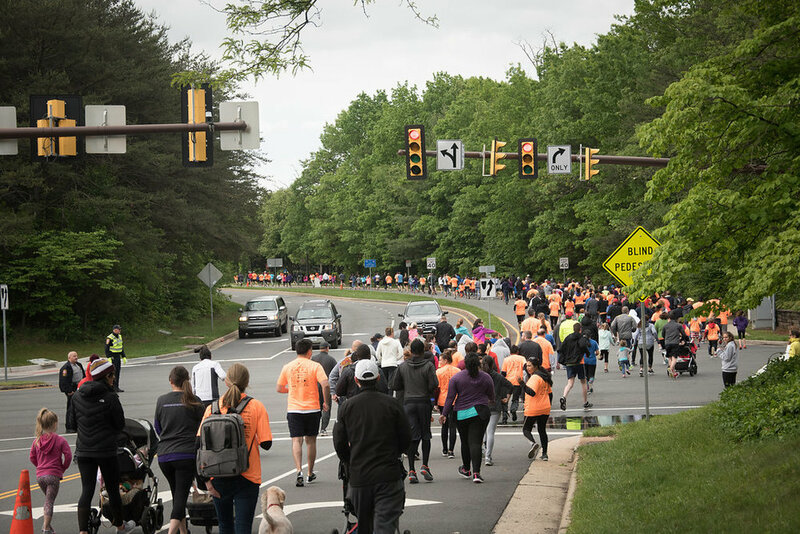 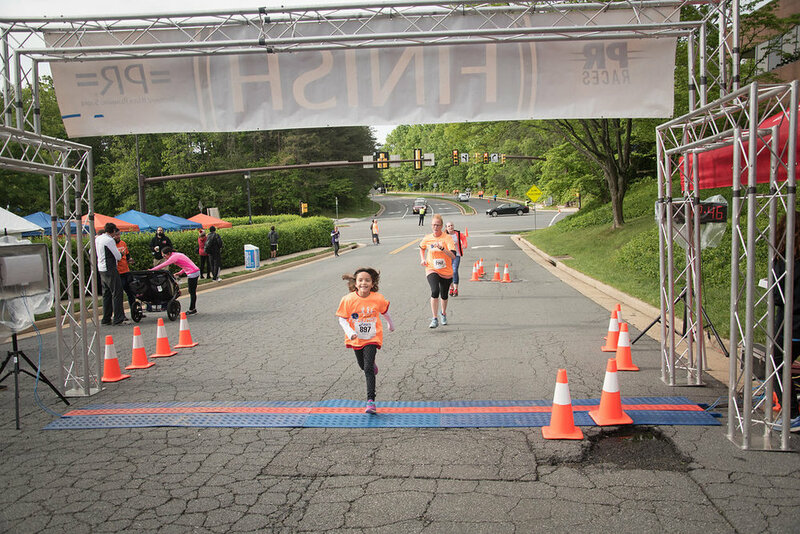 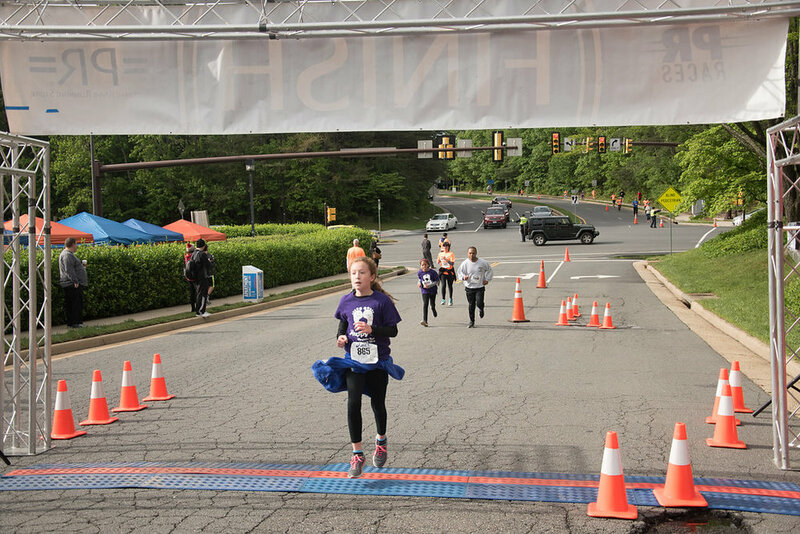 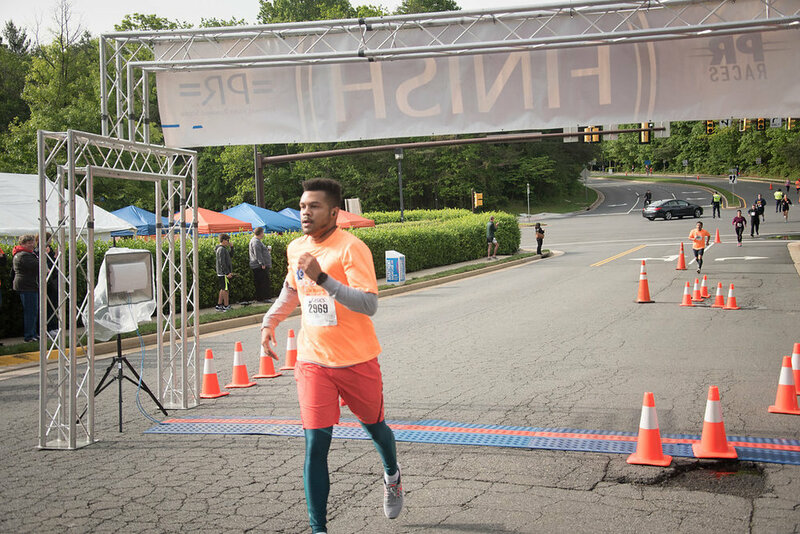 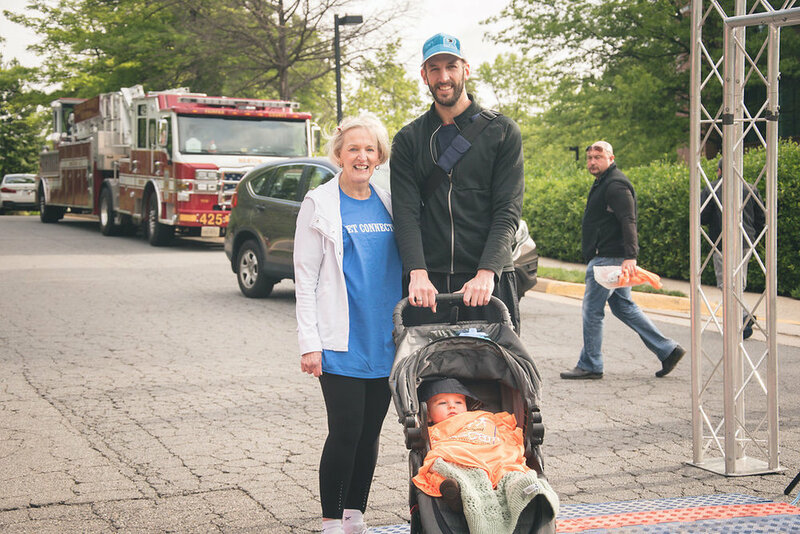 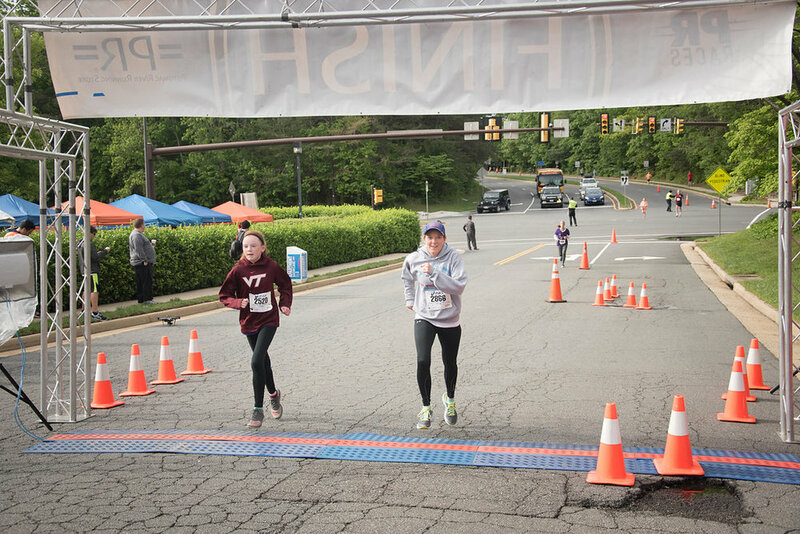 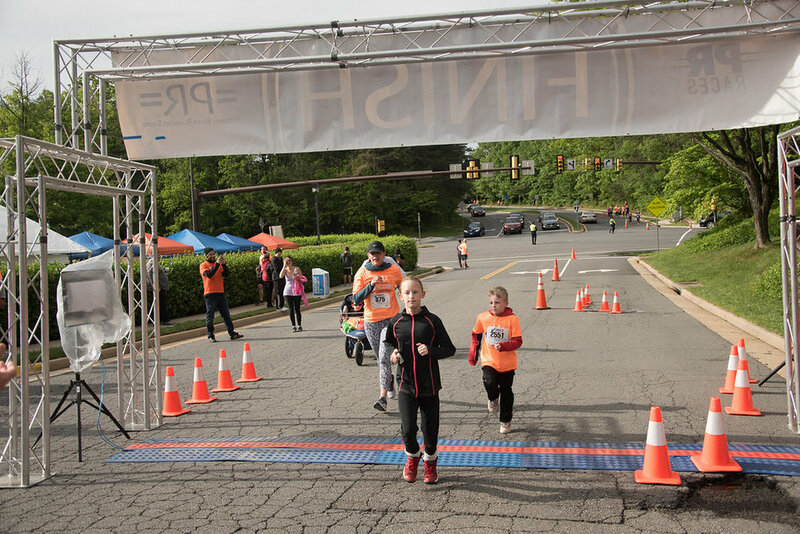 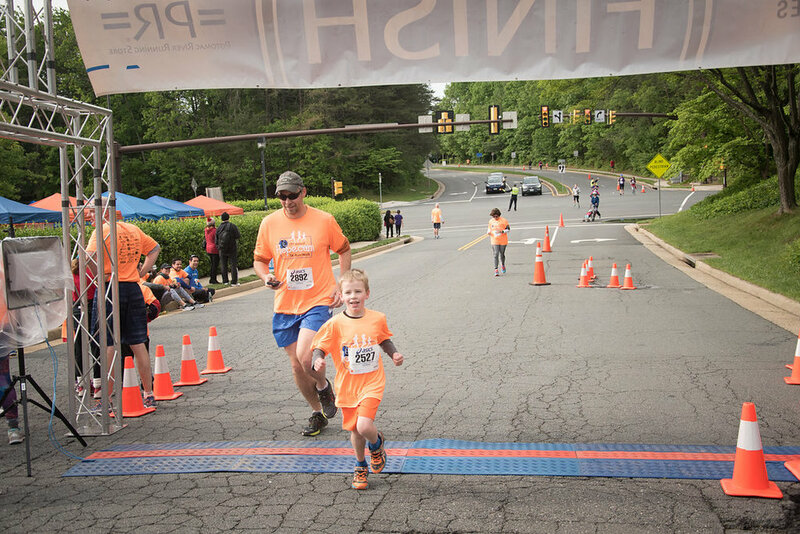 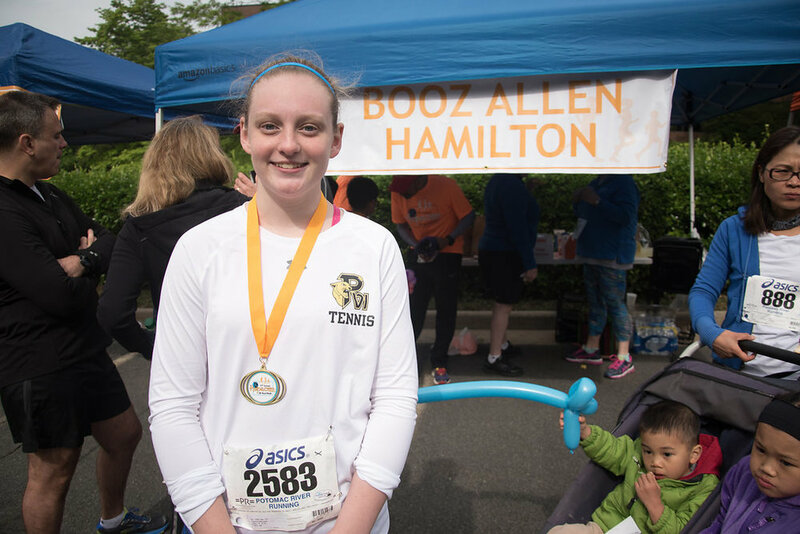 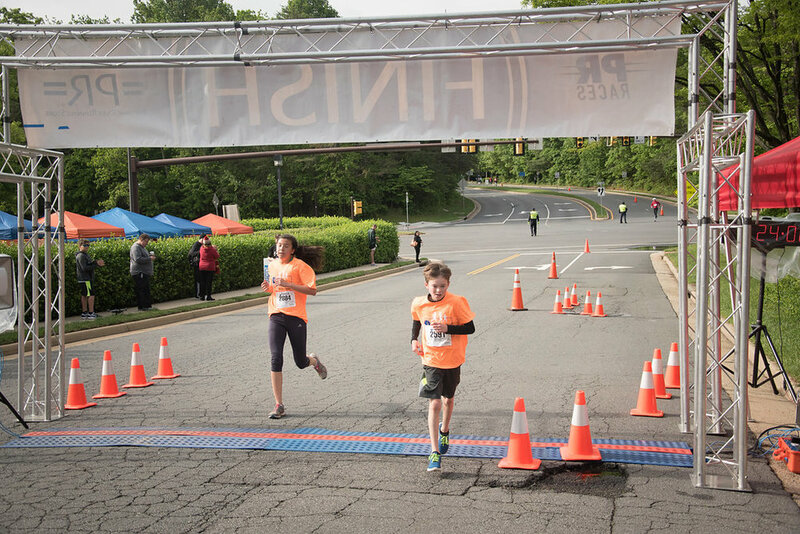 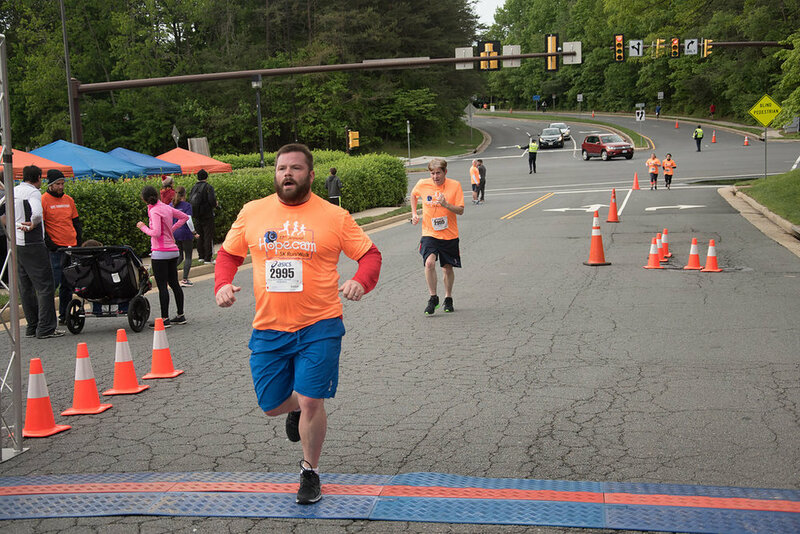 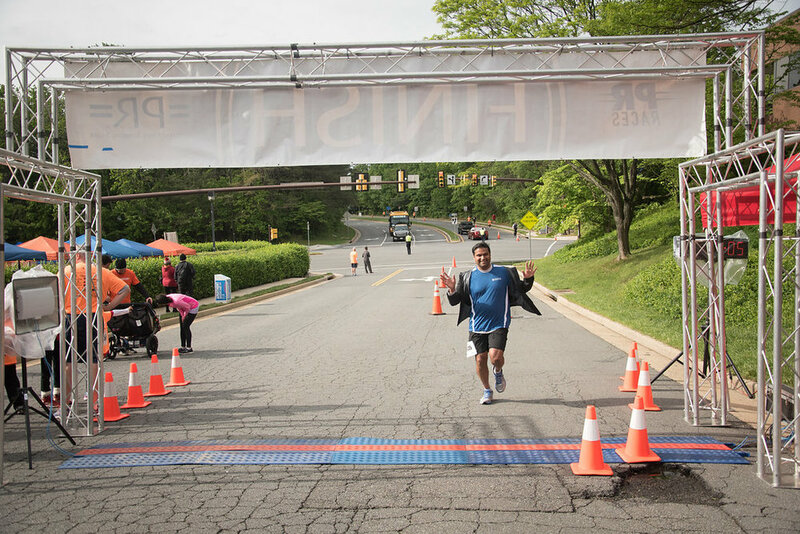 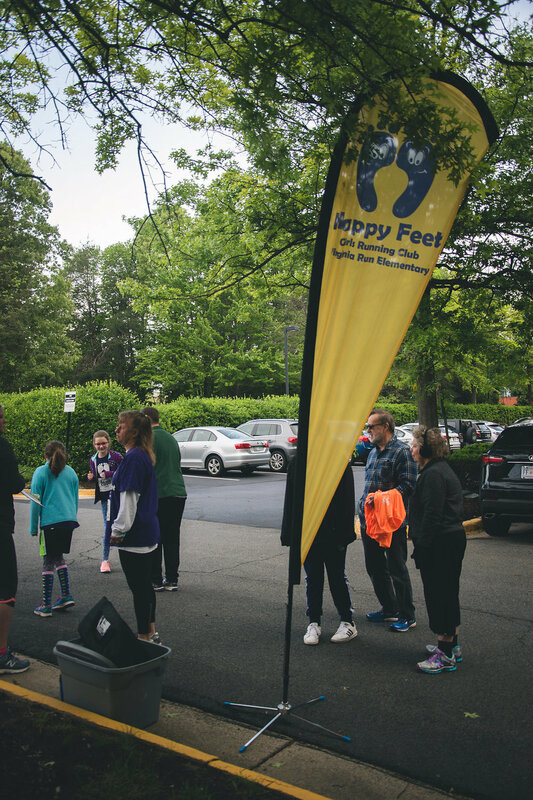 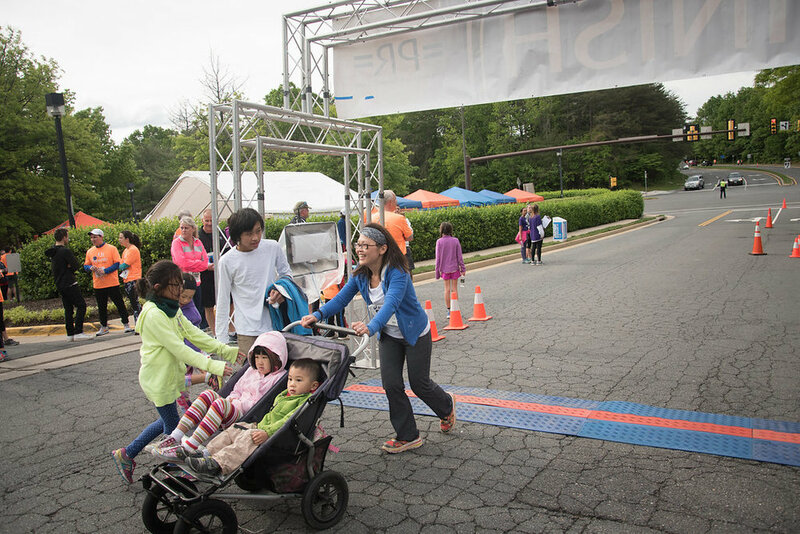 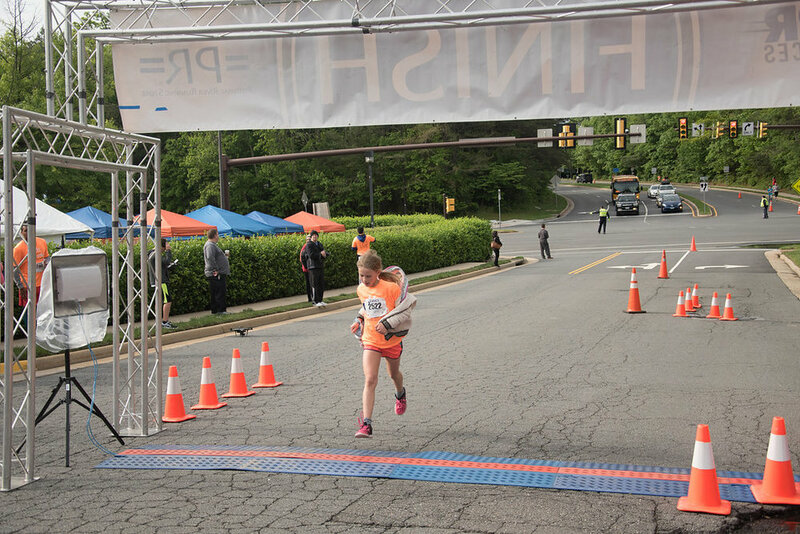 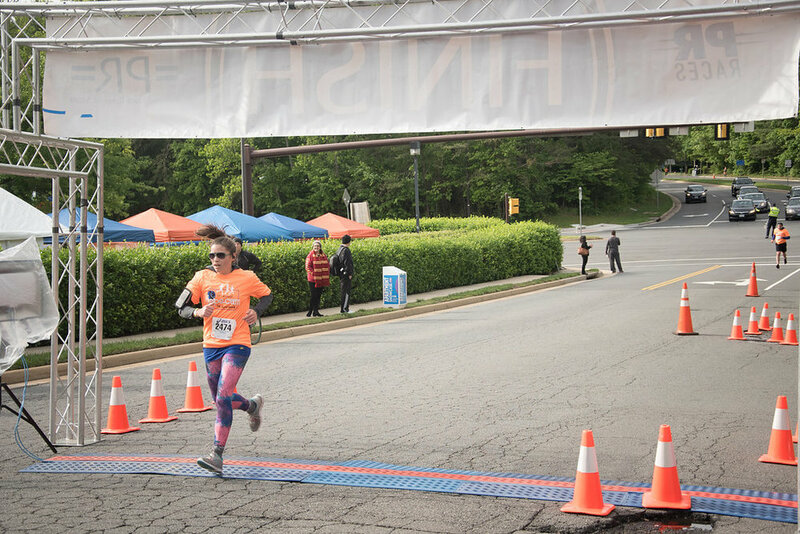 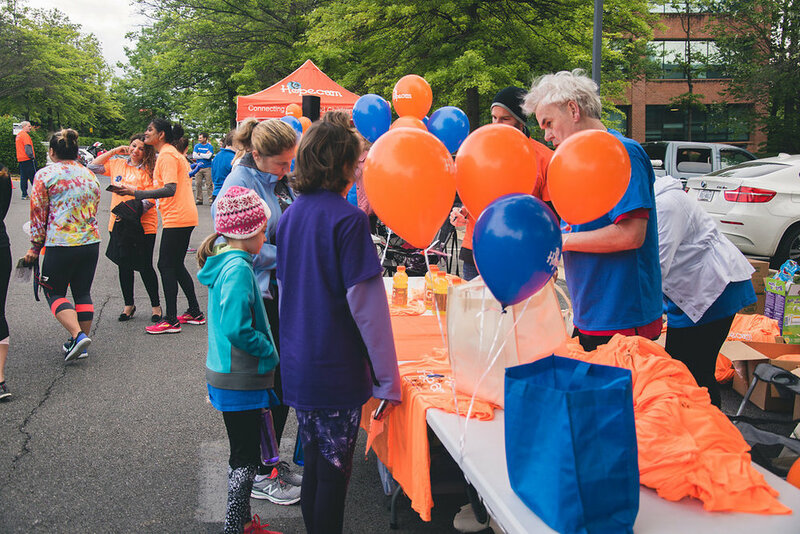 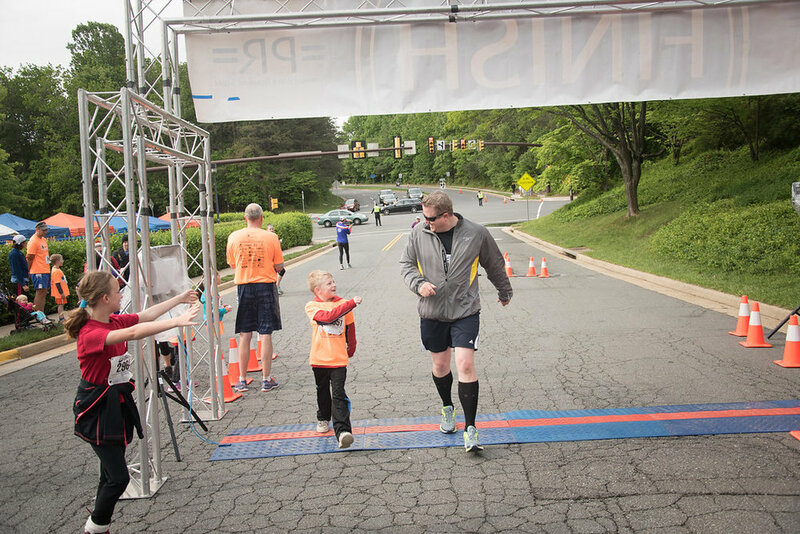 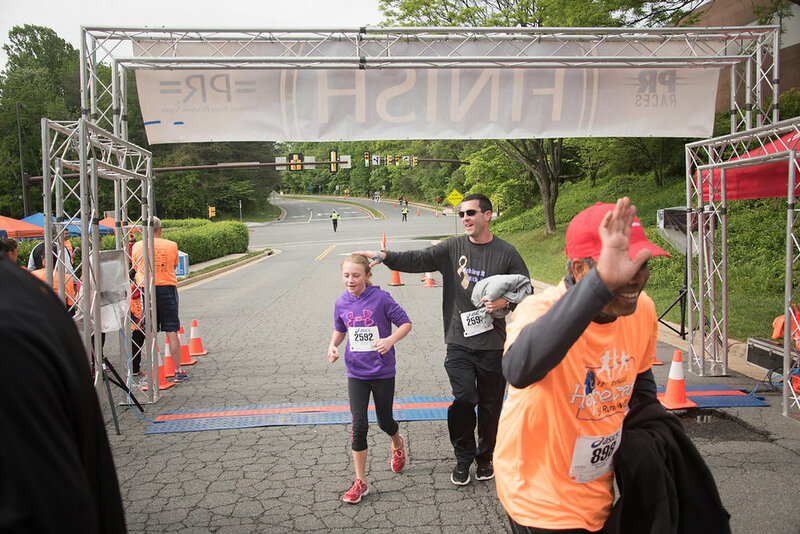 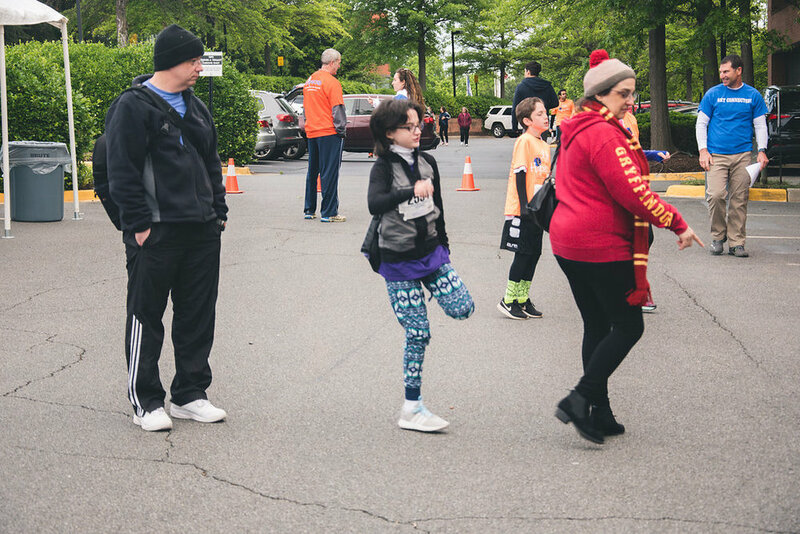 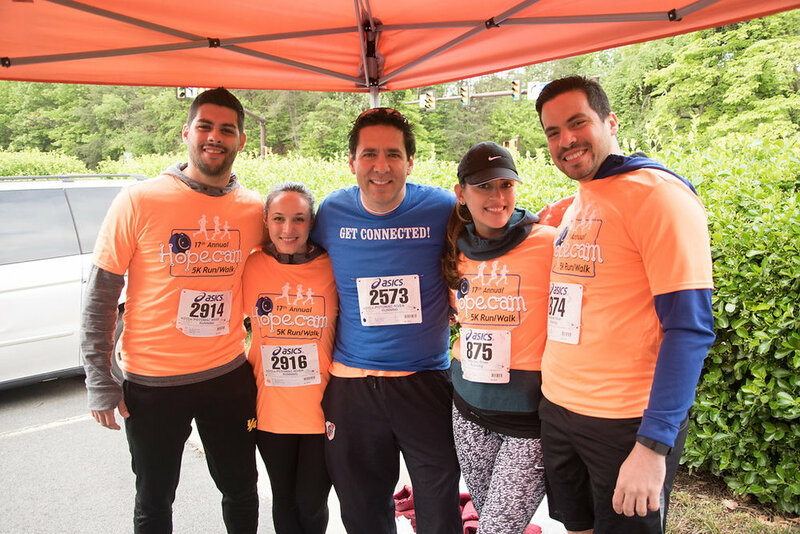 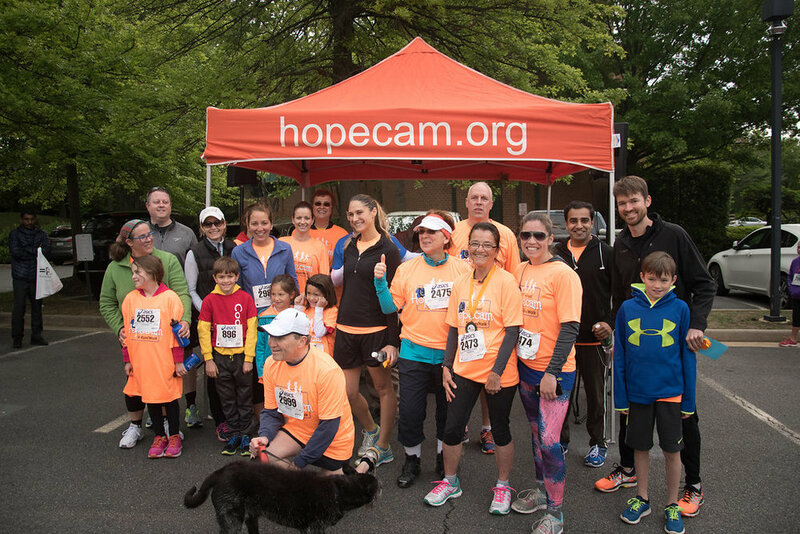 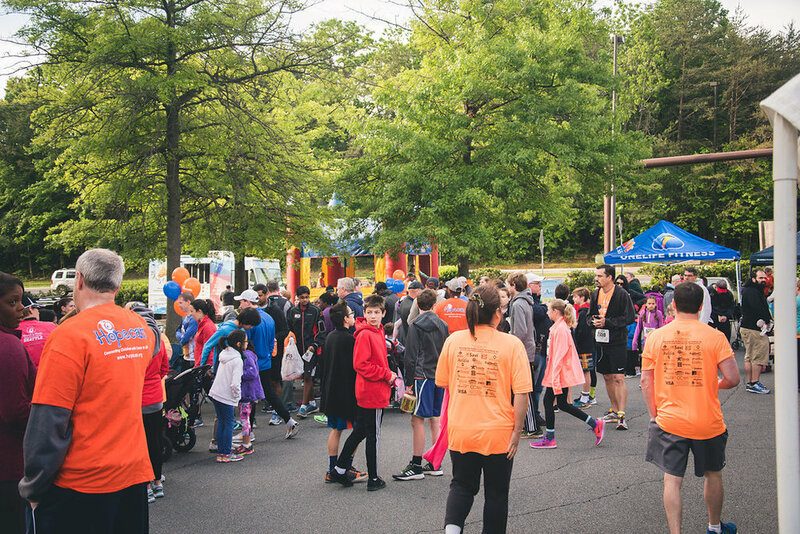 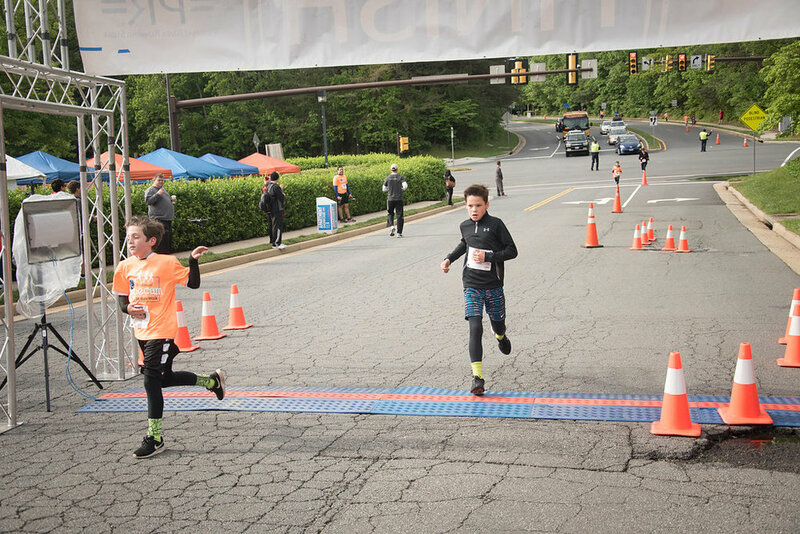 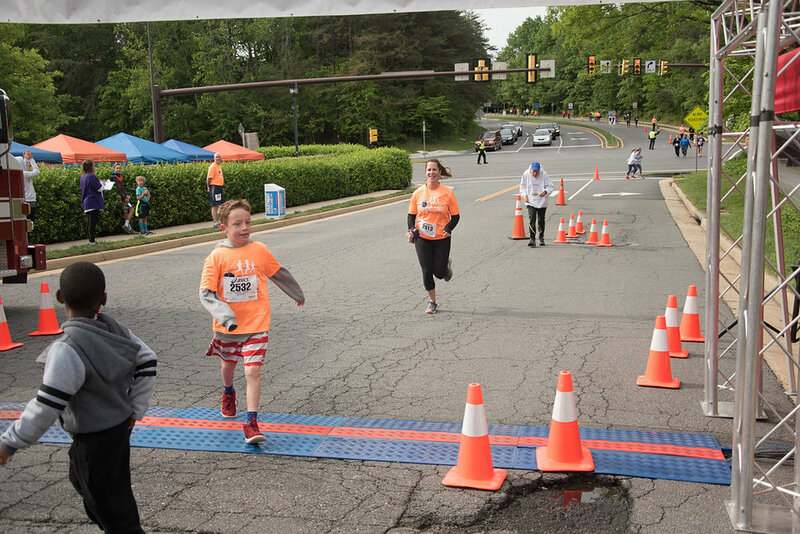 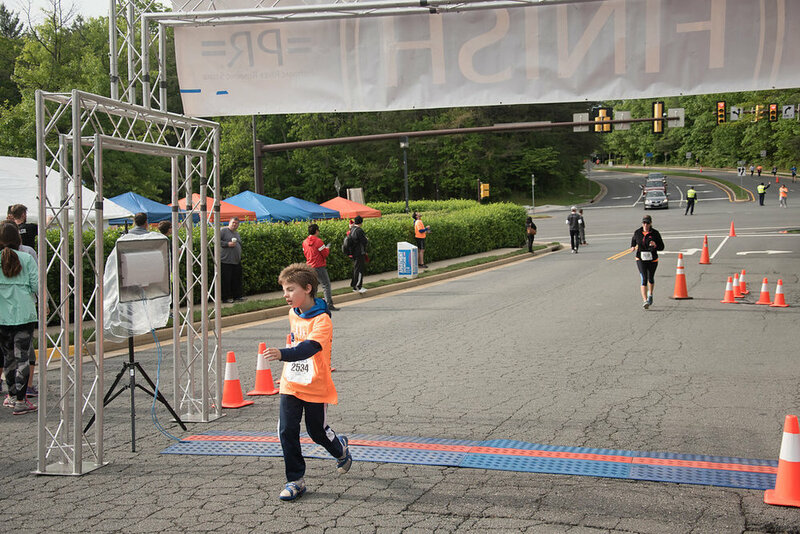 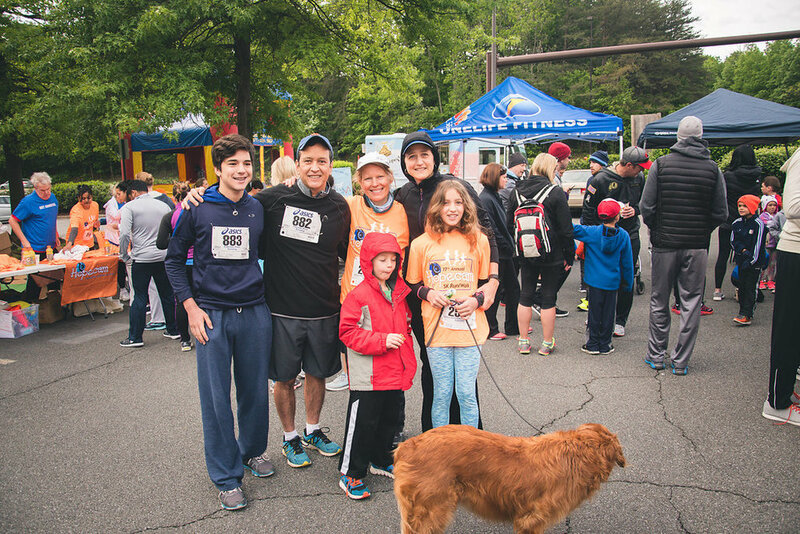 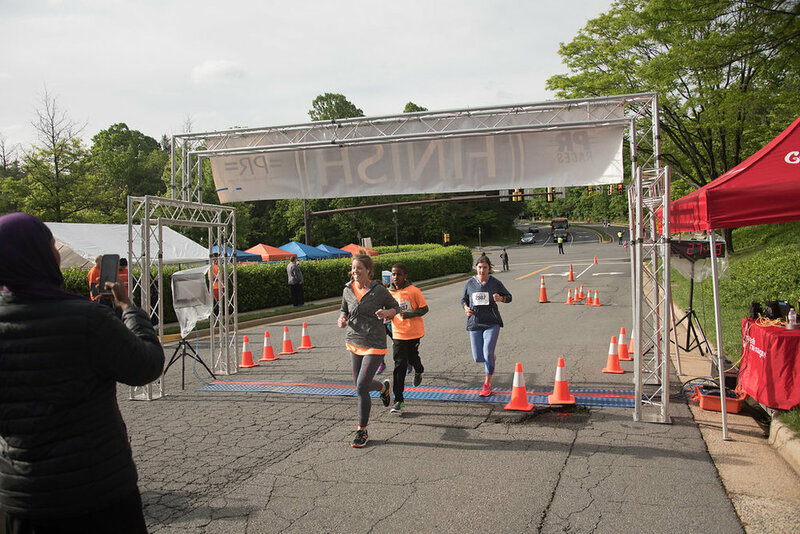 On Sunday May 7th, we had our 17th Annual Hopecam 5k. 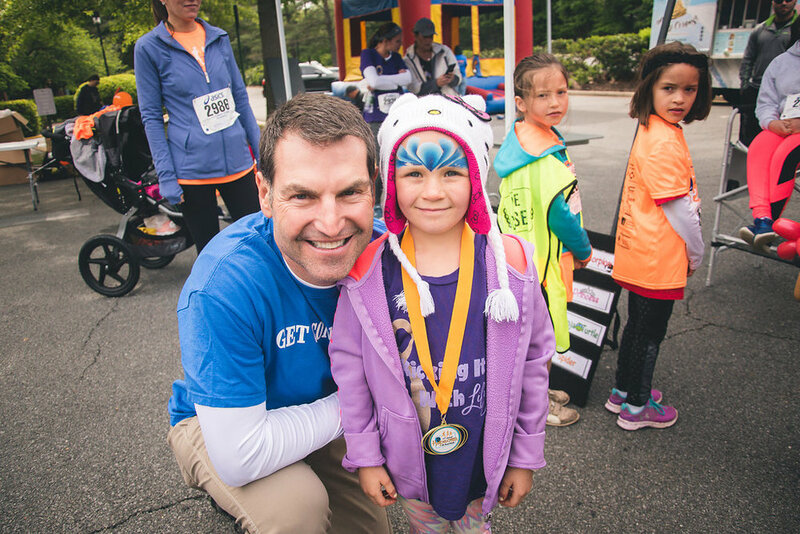 Thank you to everyone that came out on a very chilly morning to honor our Hopecam child Lily who is battling Leukemia. 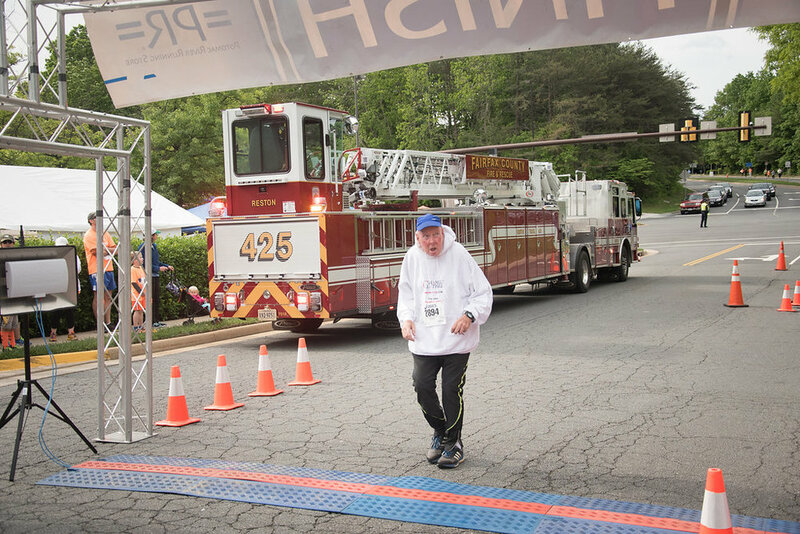 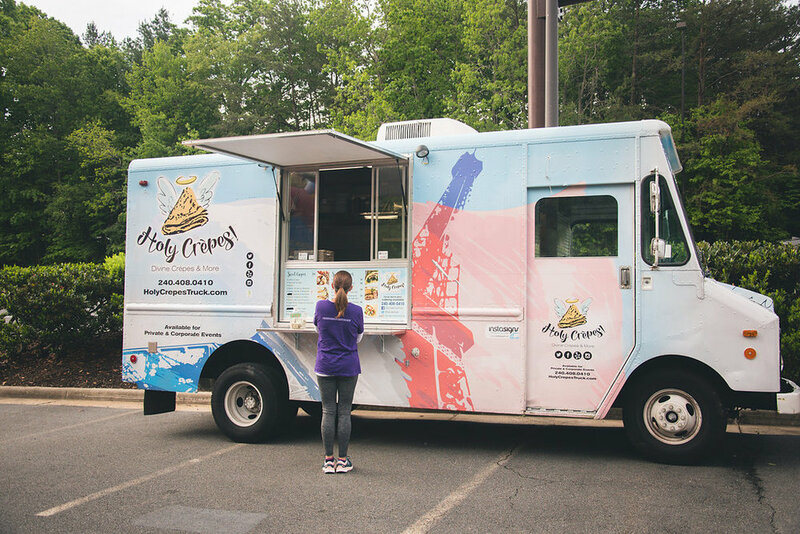 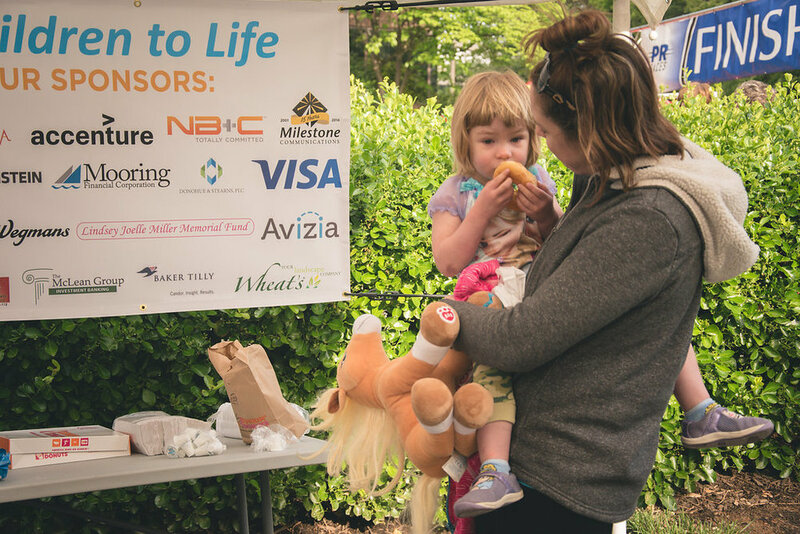 Thank you to the following companies that provided generous donations for our event: Wheat's Landscaping, Wegmans in Sterling, Dunkin Donuts in Herndon, Angels Home Healthcare, Crown Trophy of Ashburn and Chick-fil-A of Reston. 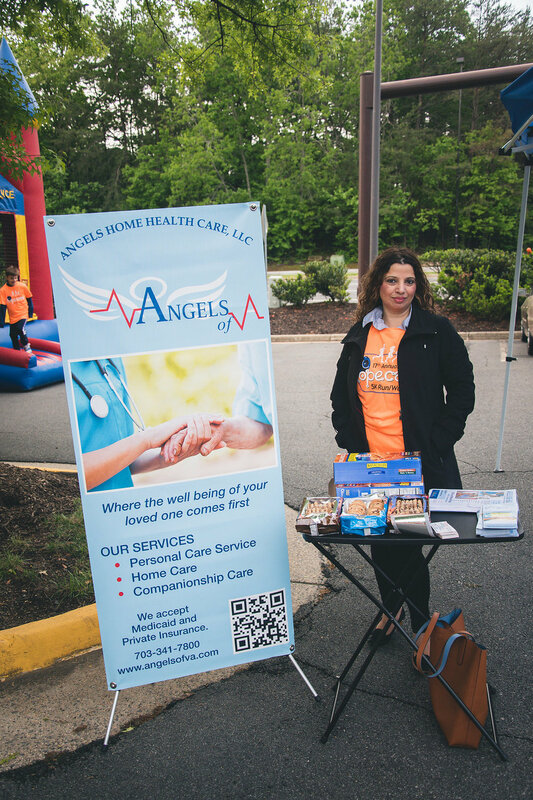 Thank you to all the vendors that participated: Angels Home Healthcare, One Life Fitness in Reston, Face painting by Sandra Fox at Pixie Dust Creations, Balloon artist Nina Levine 'The Jelly Bean Queen', Holy Crepes food truck, the Wiehle Reston Firestation and Hop on Pop's Moonbounce, Naval Reactors, and to TK Photo for taking all of these amazing photos! 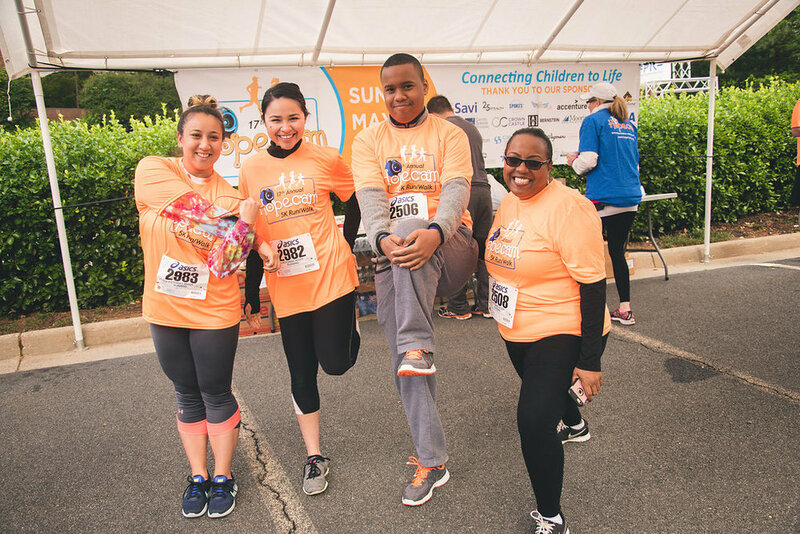 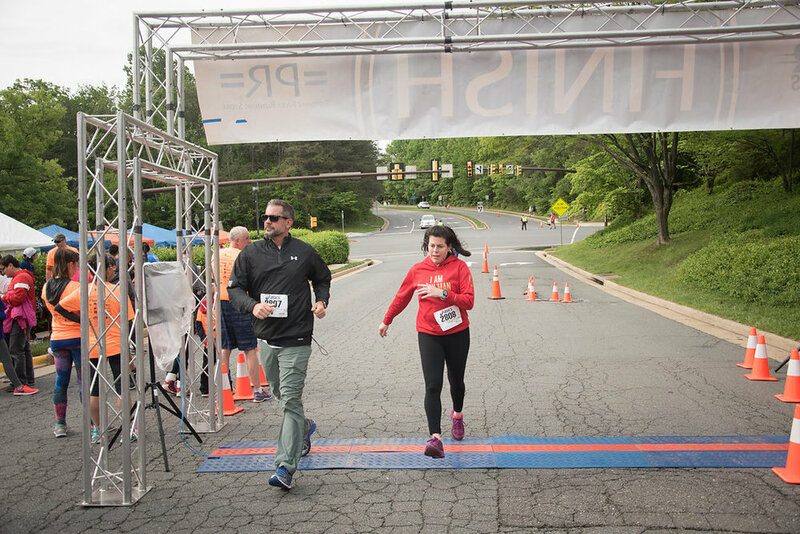 Thank you to the following corporate teams: Savi, Booz Allen Hamilton, Avizia, Accenture, Cooley, Visa, Creative Systems and Consulting and K12. 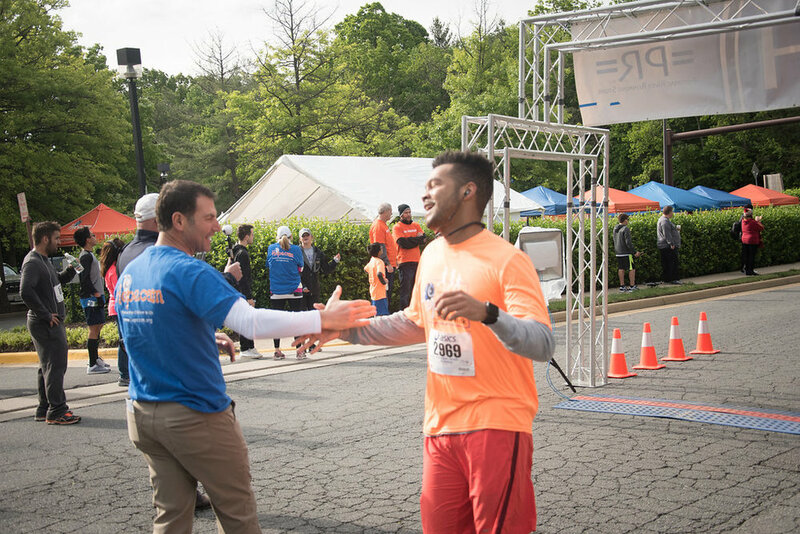 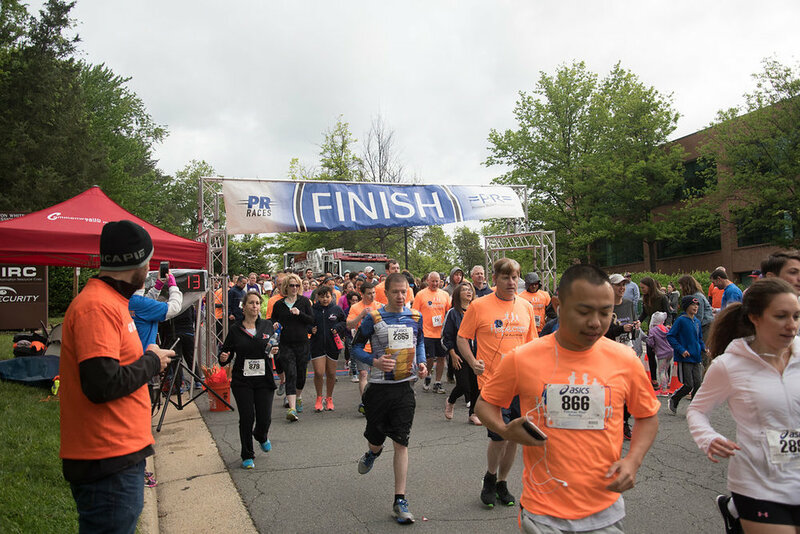 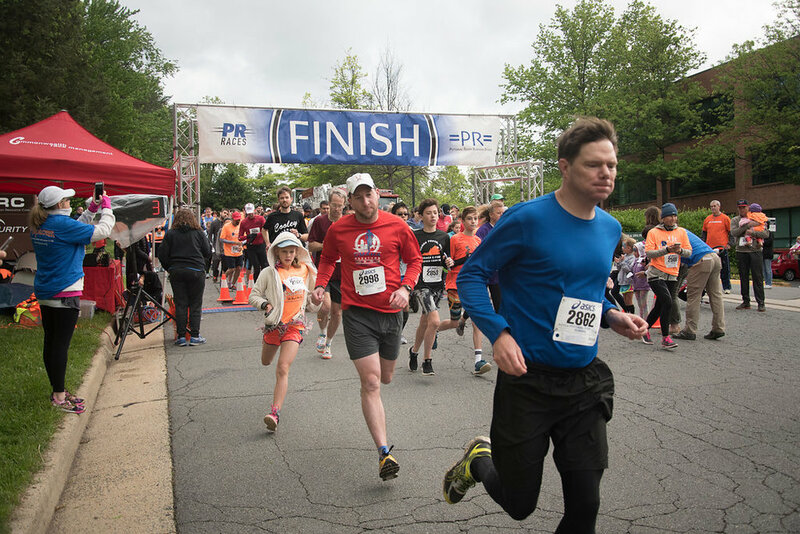 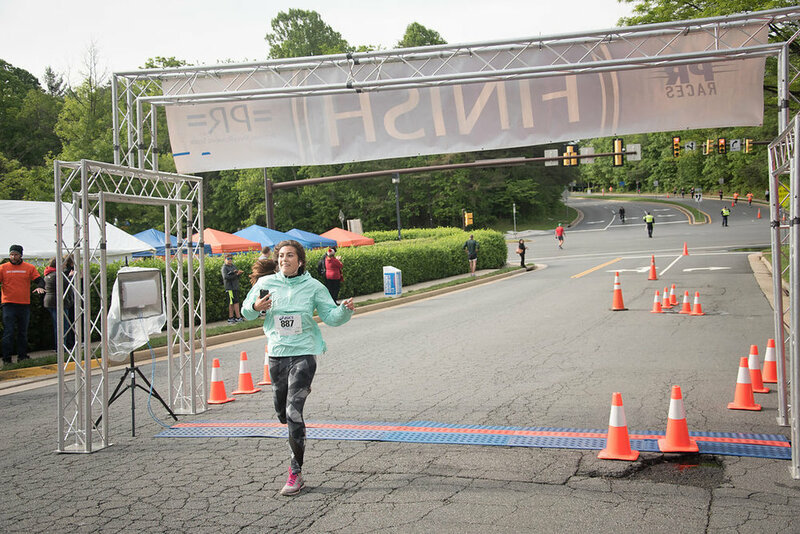 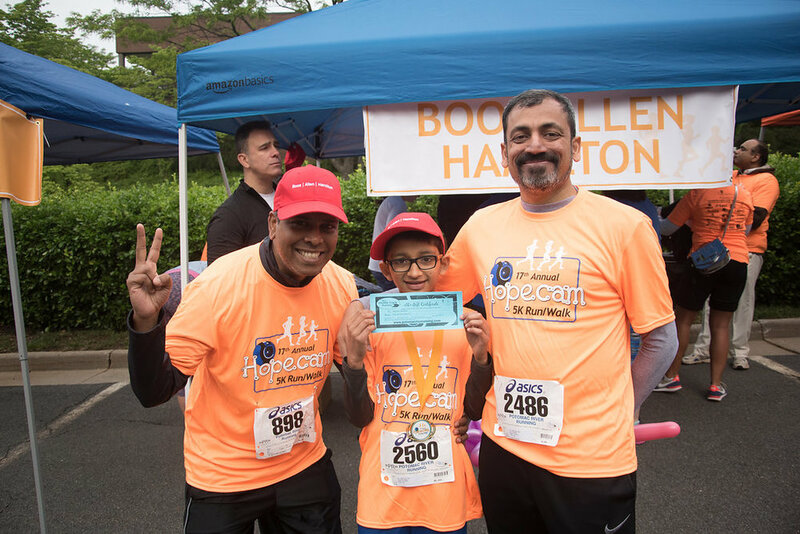 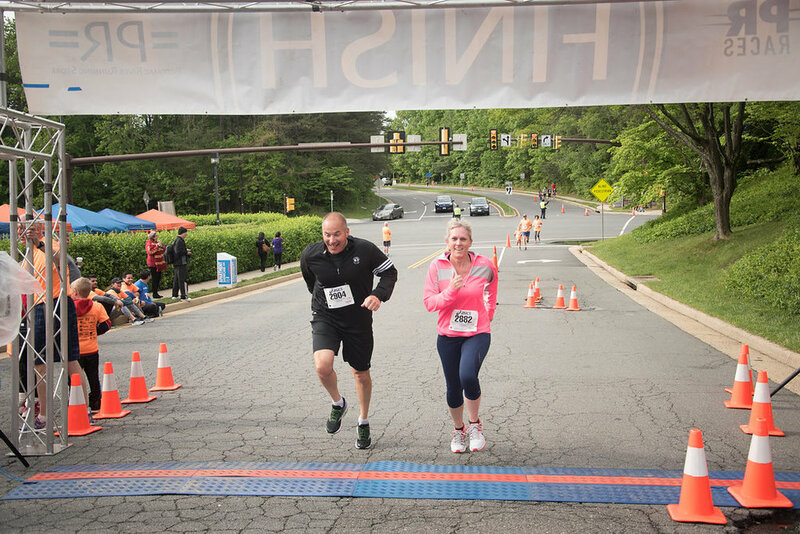 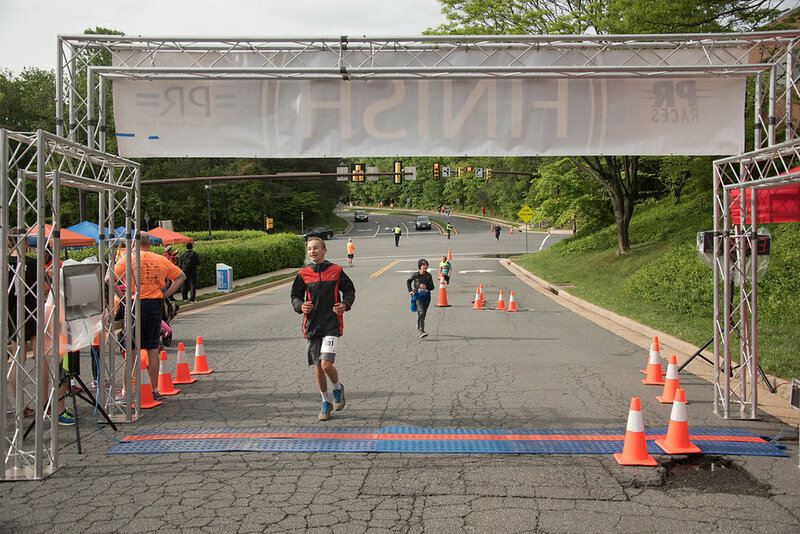 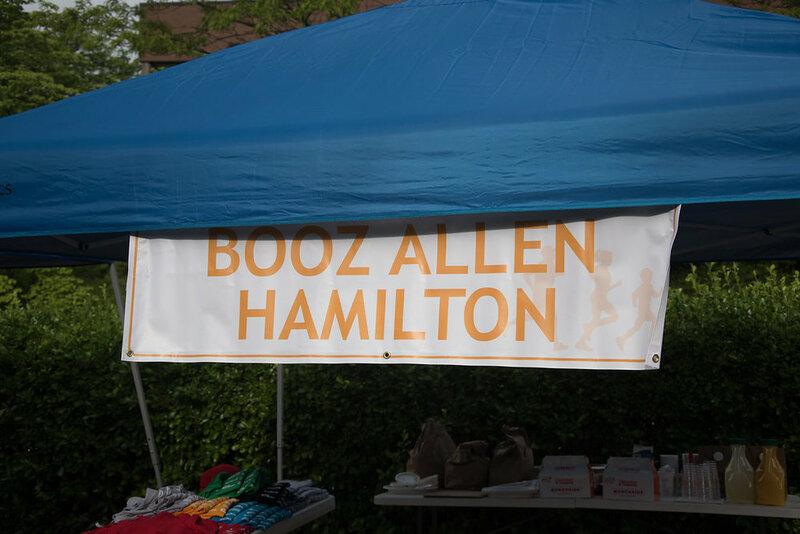 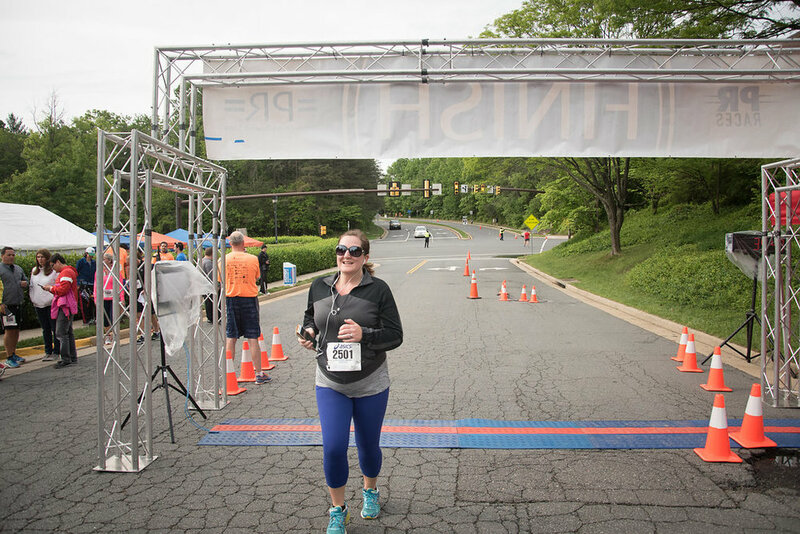 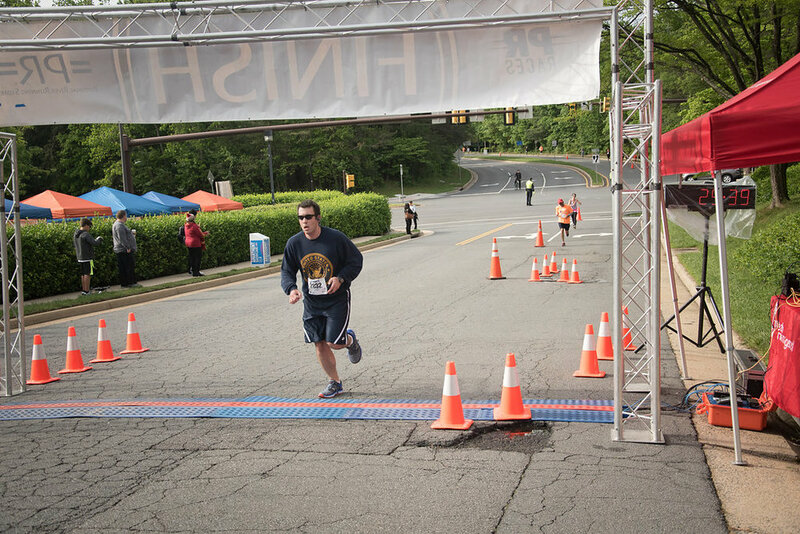 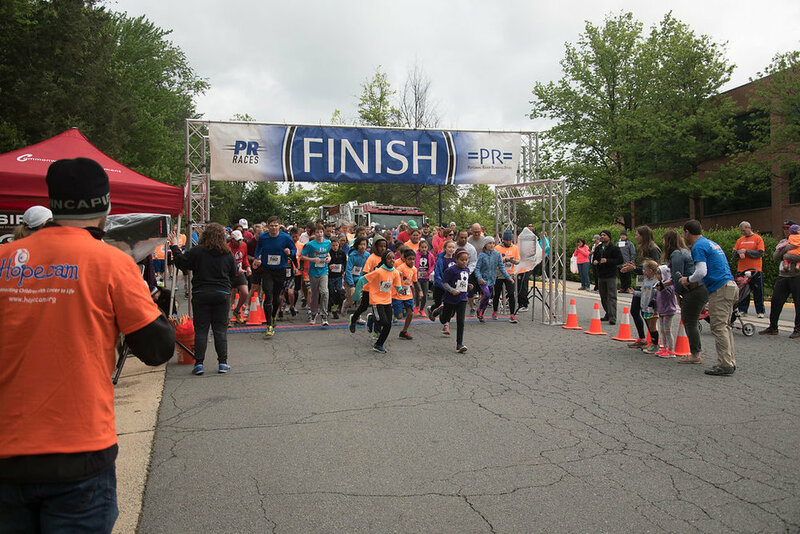 Our top corporate teams for this years event was: Cooley for being the fastest team, K12 for having the largest team and Booz Allen Hamilton for raising the most money! 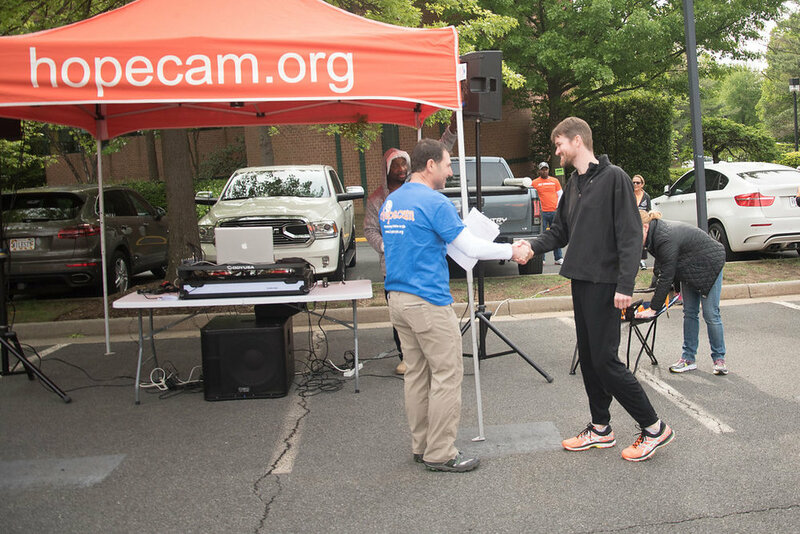 Thank you to all of our volunteers, staff and Hopecam Board Members for helping! 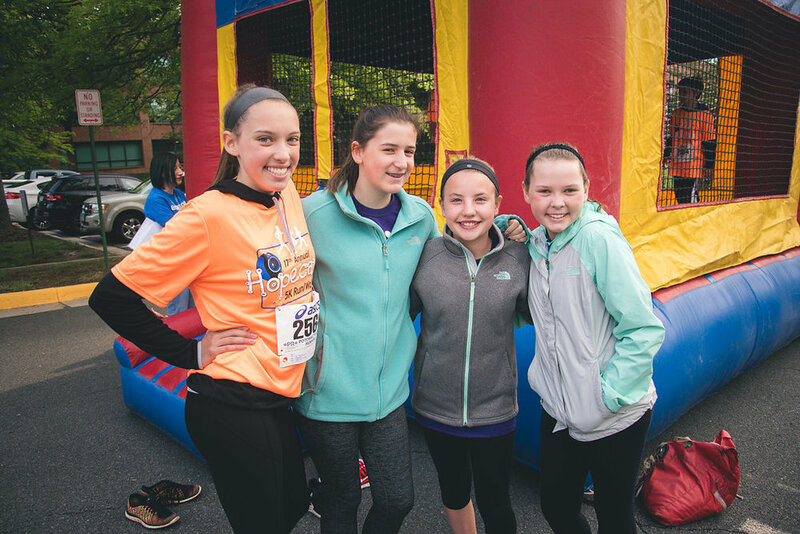 We are looking forward to our 18th year next year. 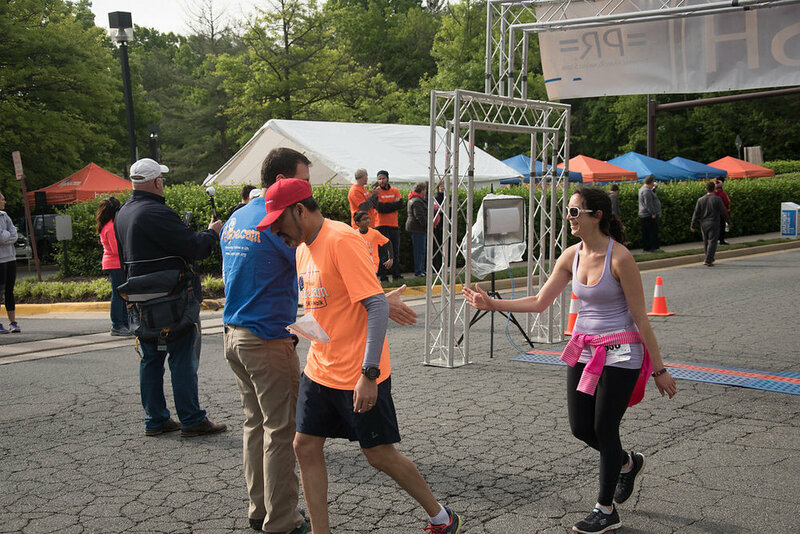 Photo Credits to TK Photo - thank you for capturing OUR event! 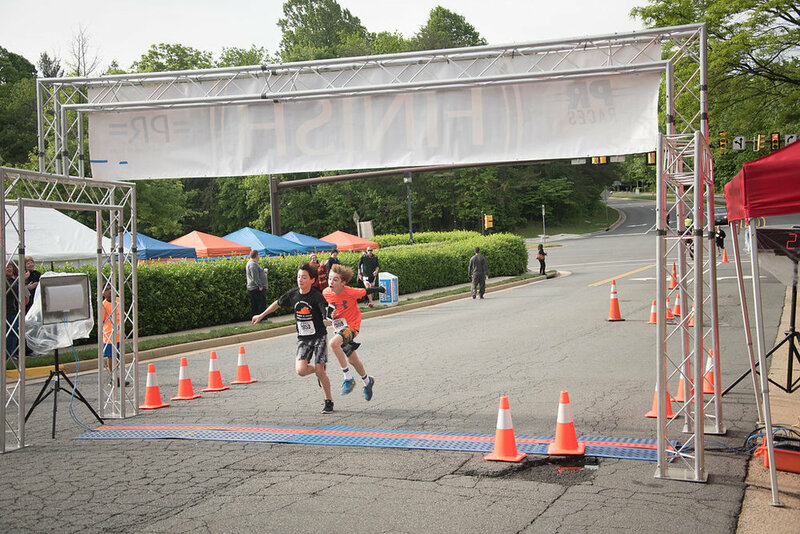 Click on any photo below to view the larger images. 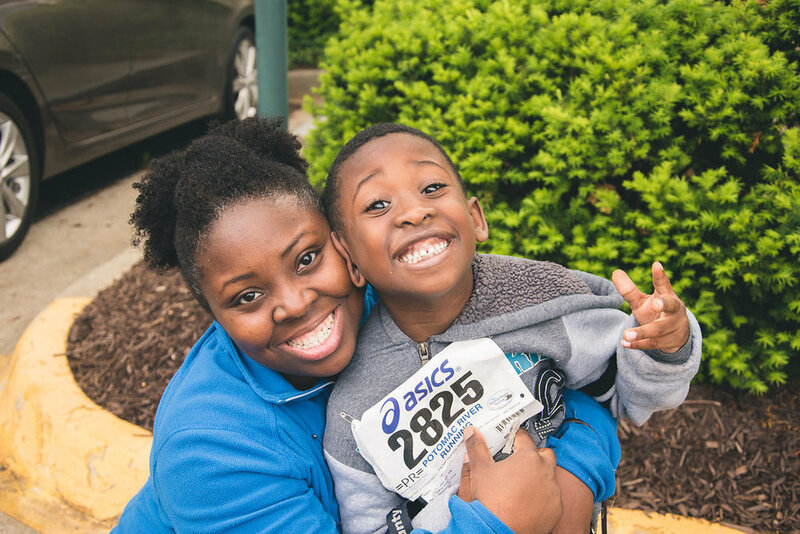 We received a $10,000 Cox Charities grant from Cox Communications, enabling us to continue our work supporting youth education in the community! 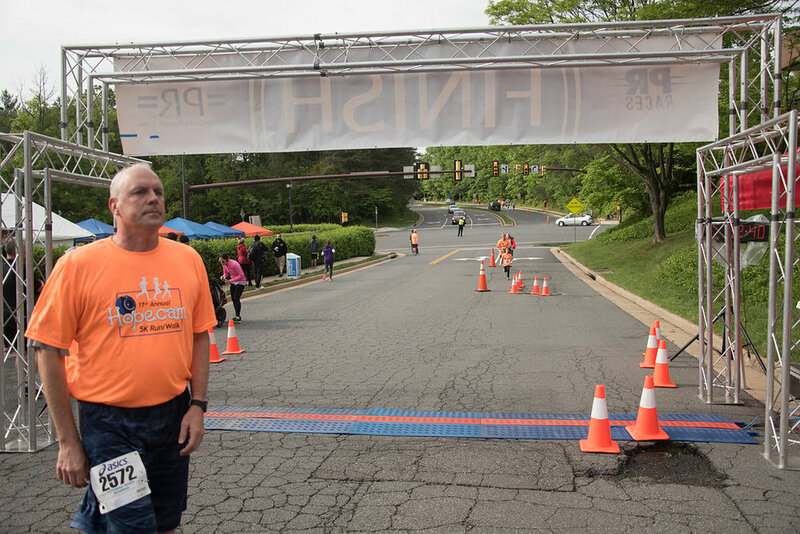 Reston, Va. – Len Forkas, a Reston-based entrepreneur, will once again tackle the grueling ultra-cycling challenge, Race Across America (RAAM), to raise money for Hopecam, a nonprofit he founded to help children undergoing cancer treatment stay virtually connected to their classmates, friends and support networks. 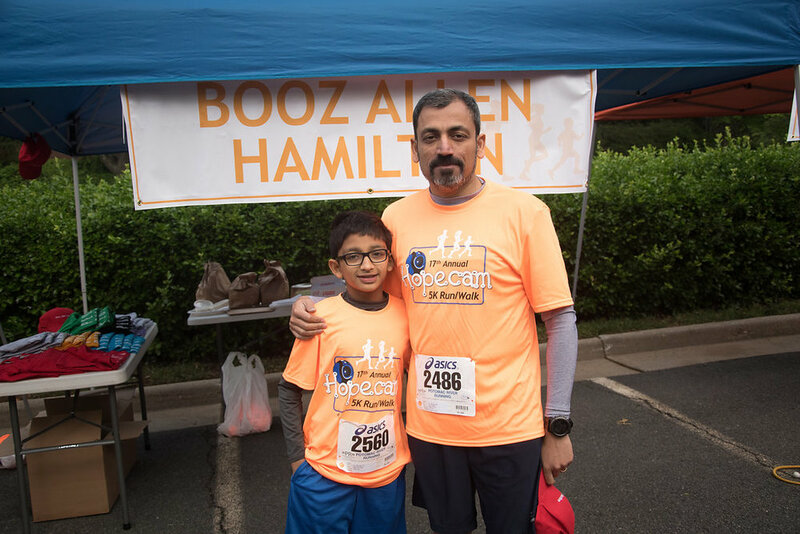 Despite RAAM’s excruciating demands, Forkas says his hardest journey started in 2002, when his son Matt was diagnosed with Leukemia at age nine. 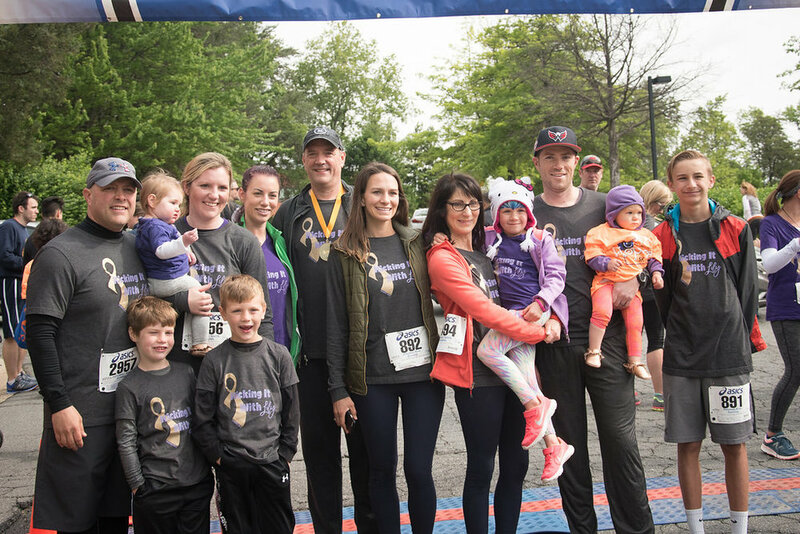 In 2003, witnessing the positive effects Matt’s friends and classmates had on his recovery, Forkas founded Hopecam to help other kids undergoing cancer connect to their support networks. 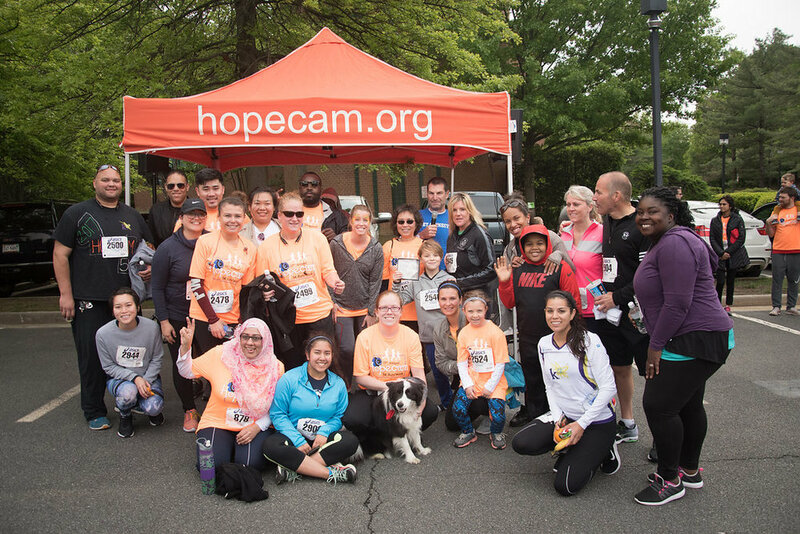 Since then, Hopecam has helped more than 1,000 children connect to 10,000 classmates in 46 states. 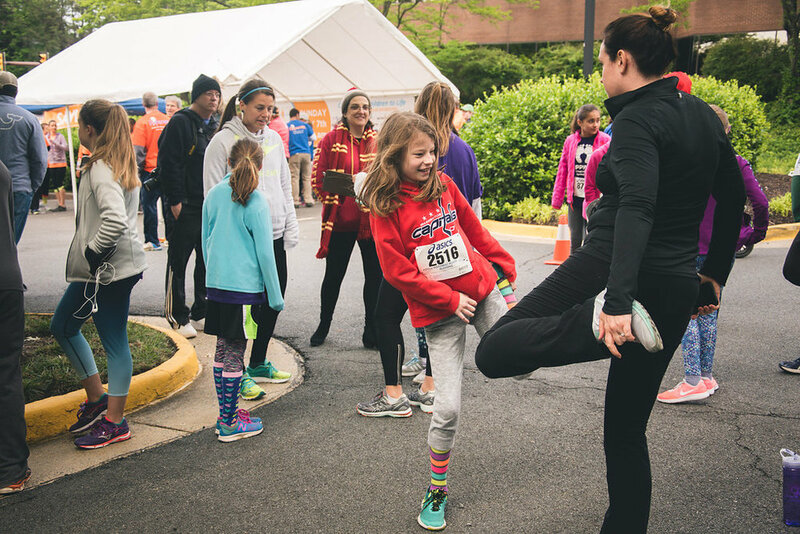 Forkas turned to exercise to cope with the stress of his son’s illness. 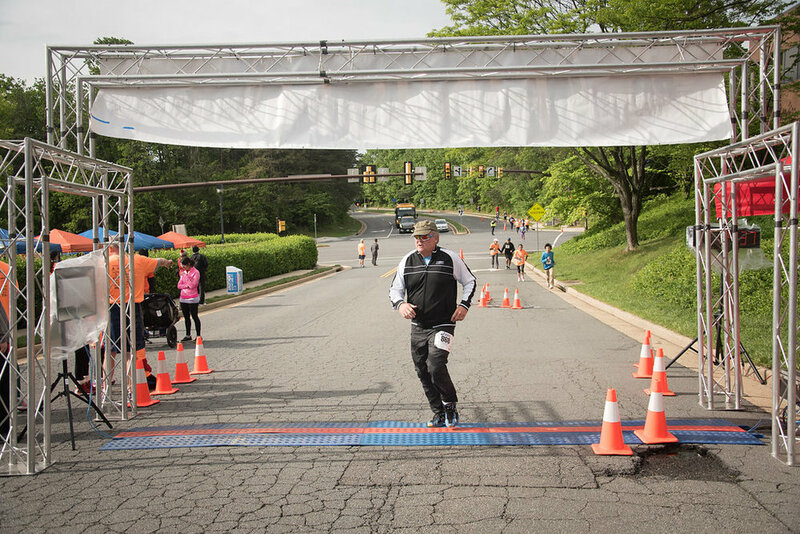 By competing in ultra endurance races, he has raised more than $1 million in sponsorship contributions. 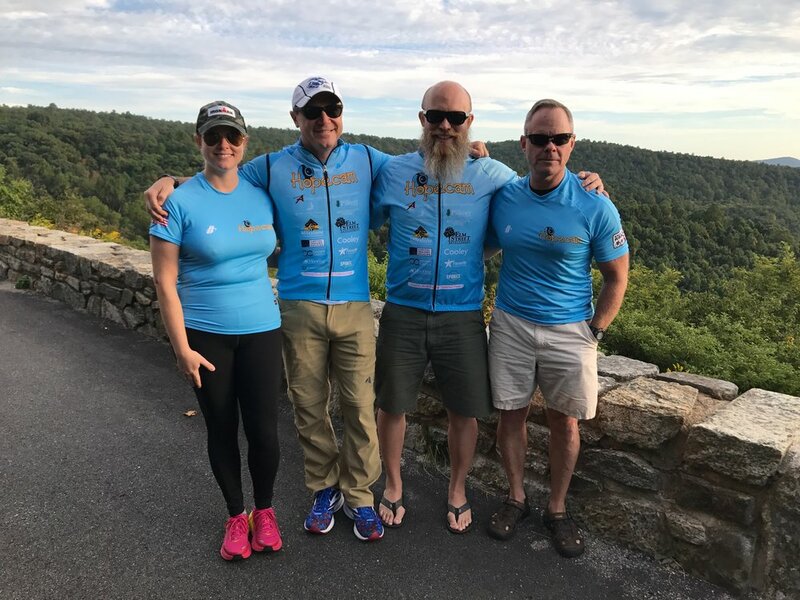 The RAAM is one of the longest annual endurance events in the world, spanning 3,089 miles over the Rocky Mountains, through the desert and over the Appalachians. 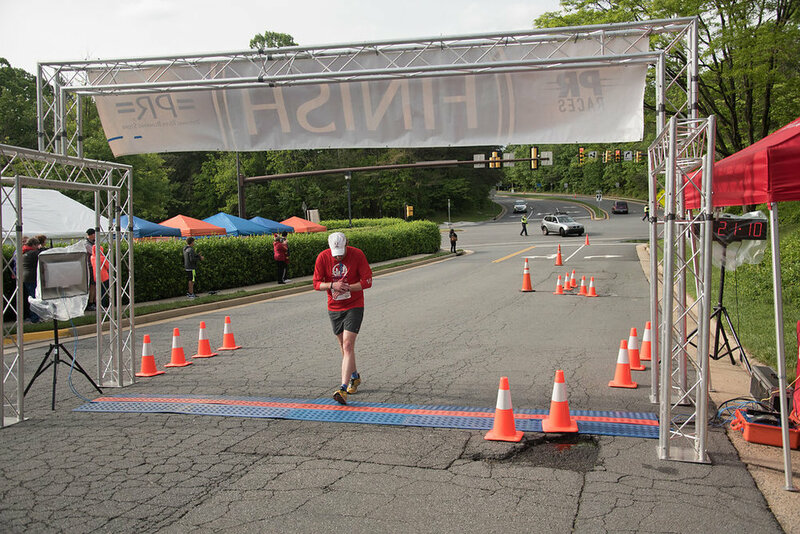 From California to Maryland, it is about 1,000 miles longer than the Tour de France and has to be completed in half the time. 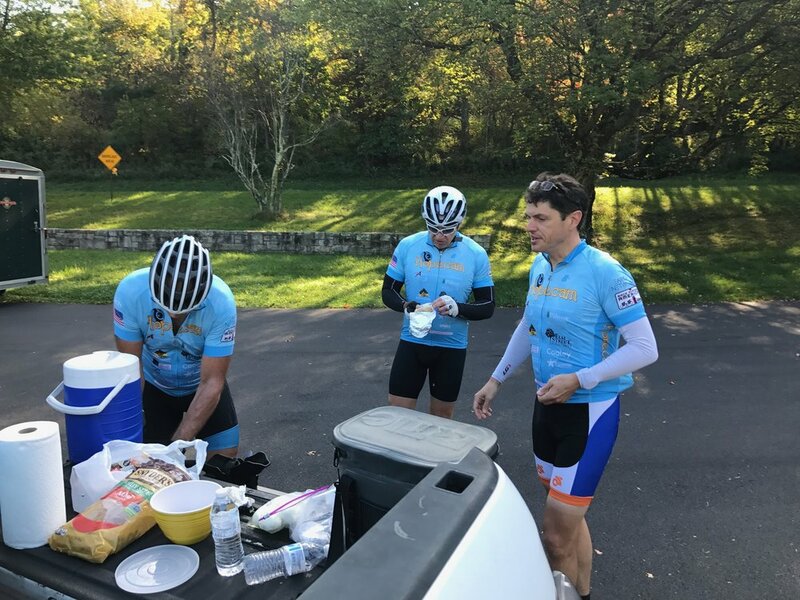 The bicycle race is also unique because there are no stages; cyclists rest only as needed, averaging 18-20 hours on the bike per day. 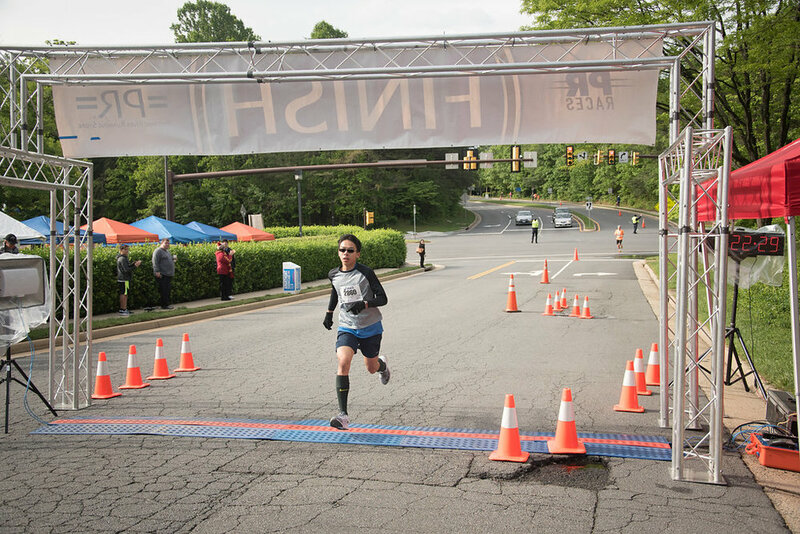 The race must be completed in 12 days for solo riders. 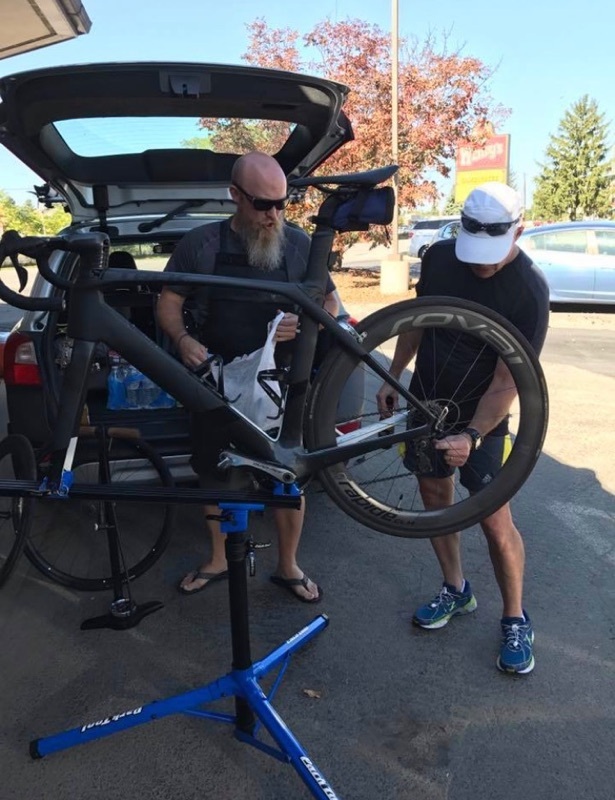 The 2017 RAAM begins Tuesday, June 13. 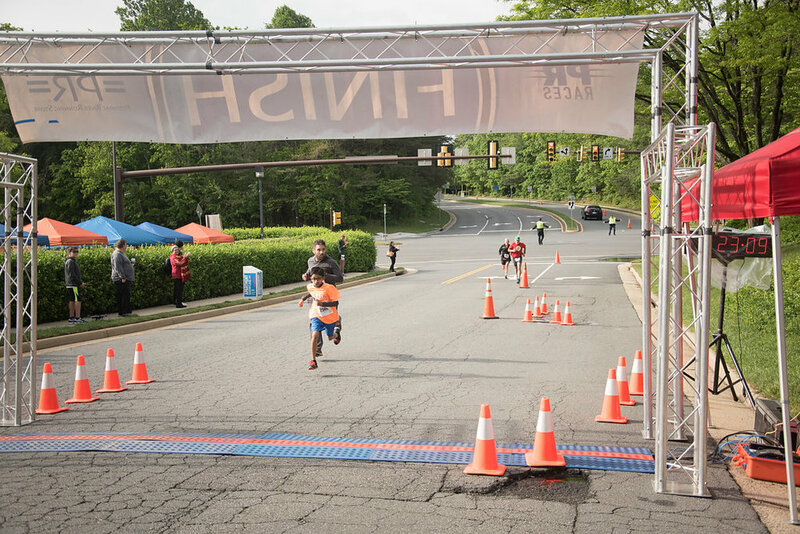 Based on the race’s 35-year history, only half of solo riders will make it to the finish line. 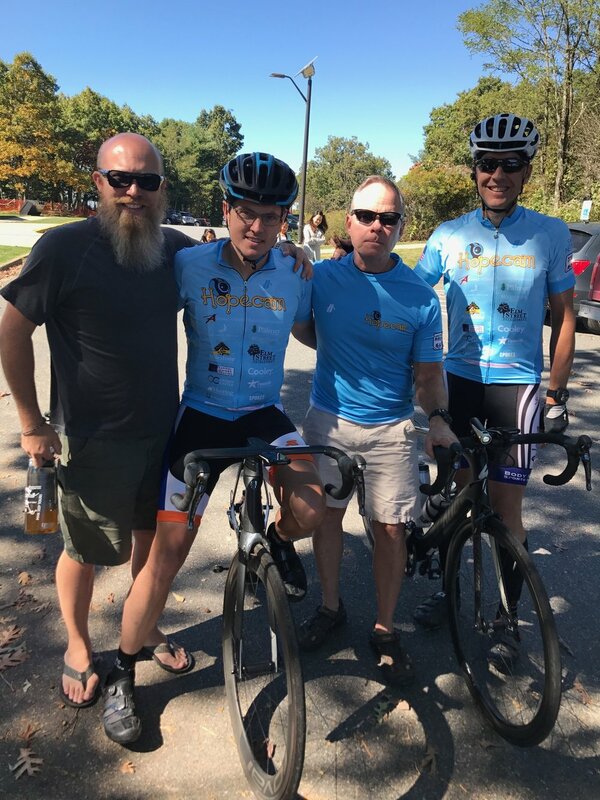 Forkas successfully completed RAAM in 2012 when he was 52 years old, winning his age division and coming in 10th overall out of 47 cyclists from 20 countries. 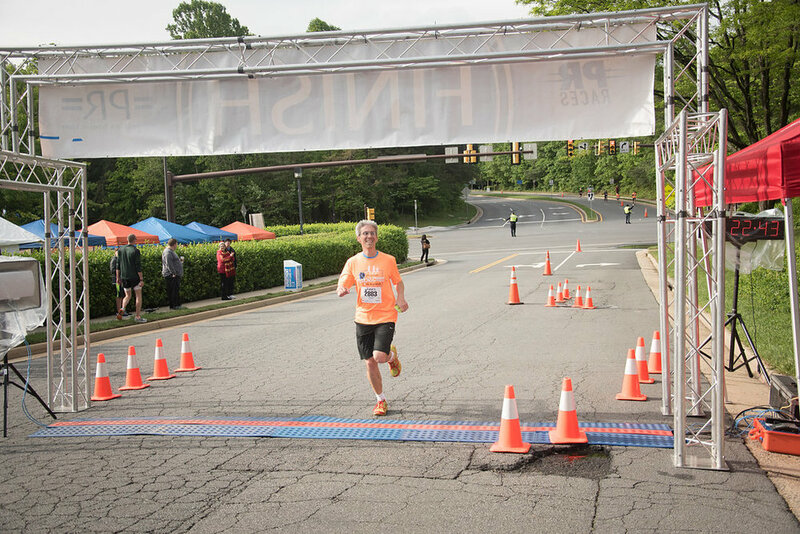 Leading up to the race he raised $300,000 for Hopecam. 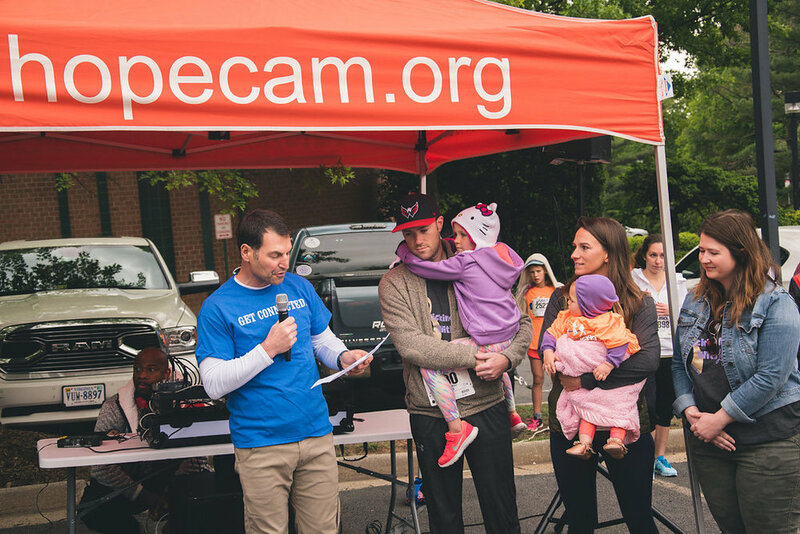 He dedicated each day of his ride to a child with cancer being helped by Hopecam. 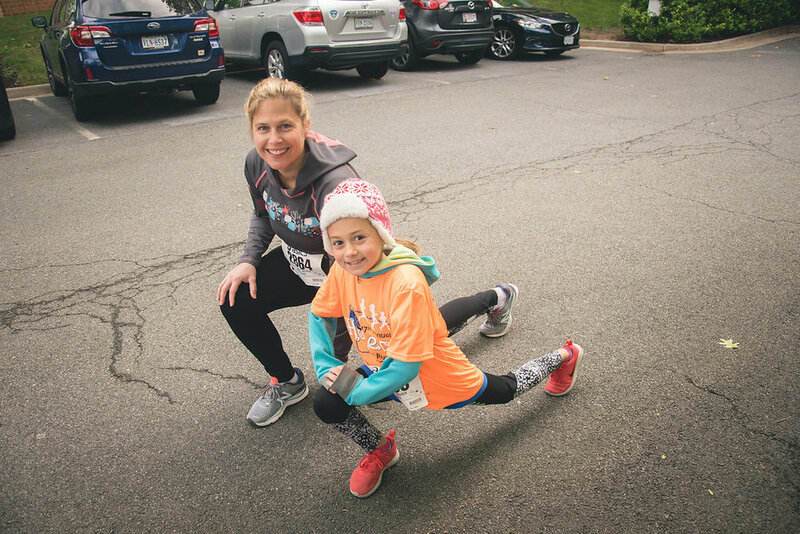 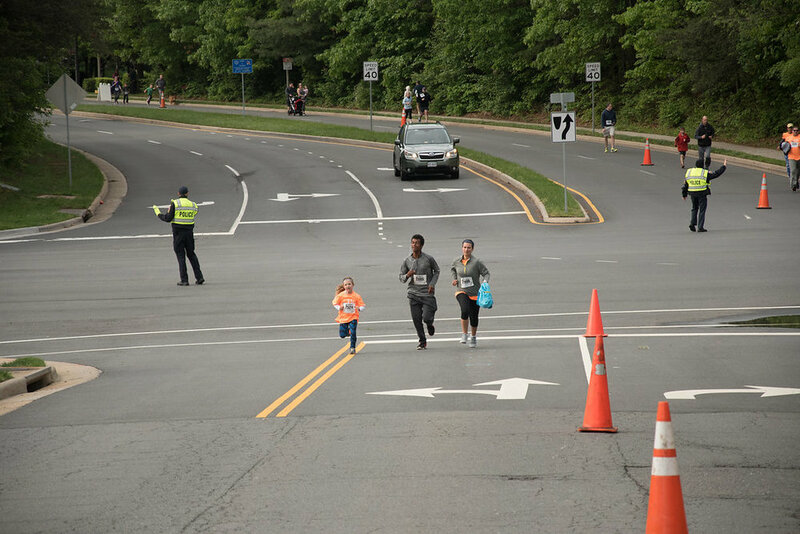 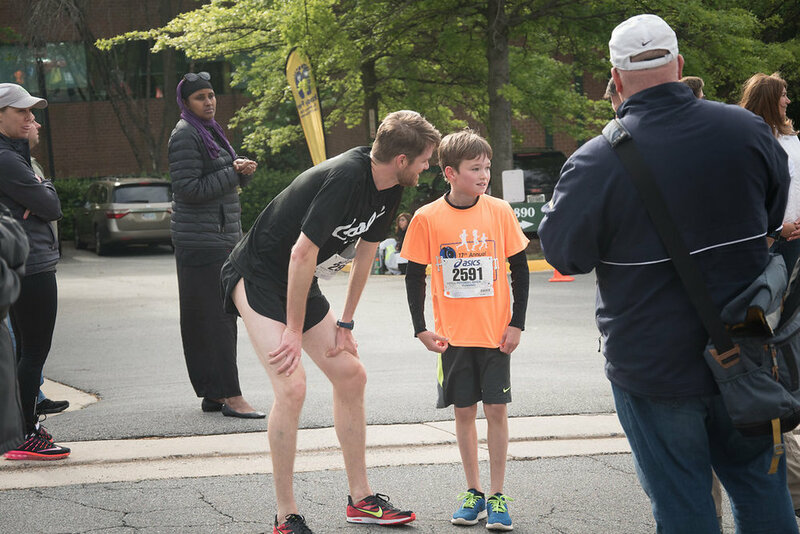 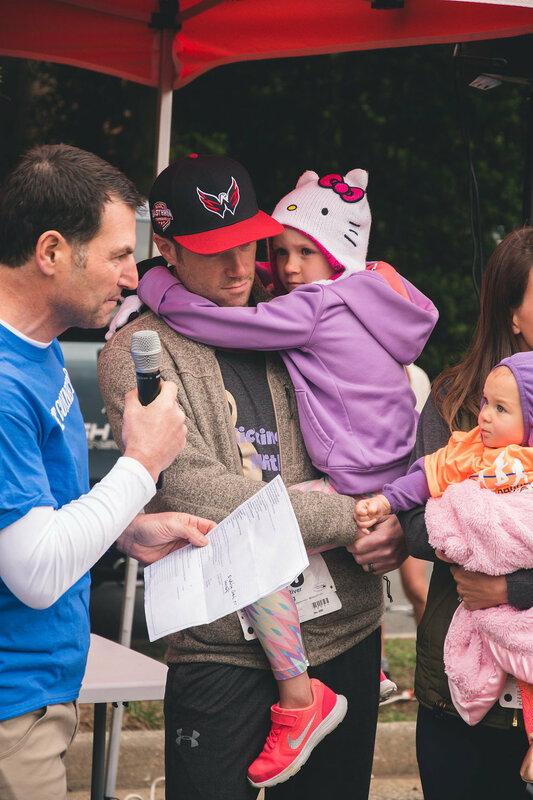 “As hard as the race was, I knew the pain I was experiencing wasn’t anything compared to what these kids endure for months or years, and that kept me going,” Forkas said. 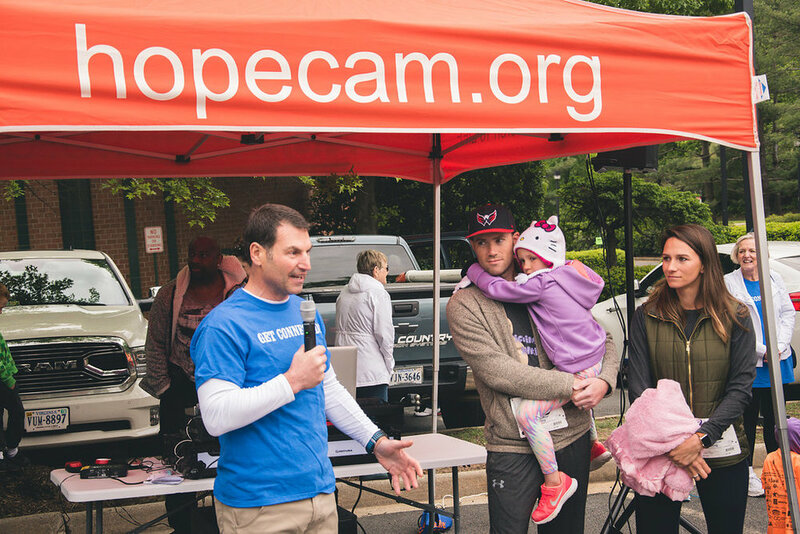 “Hopecam was founded before Skype and Facetime were invented. 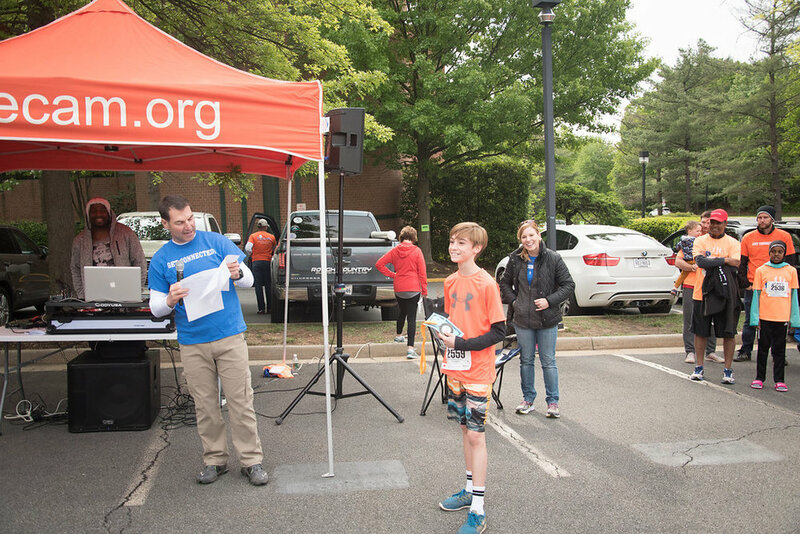 Our technology and interactions with schools were immensely important to helping kids who were feeling isolated and depressed,” Forkas noted. 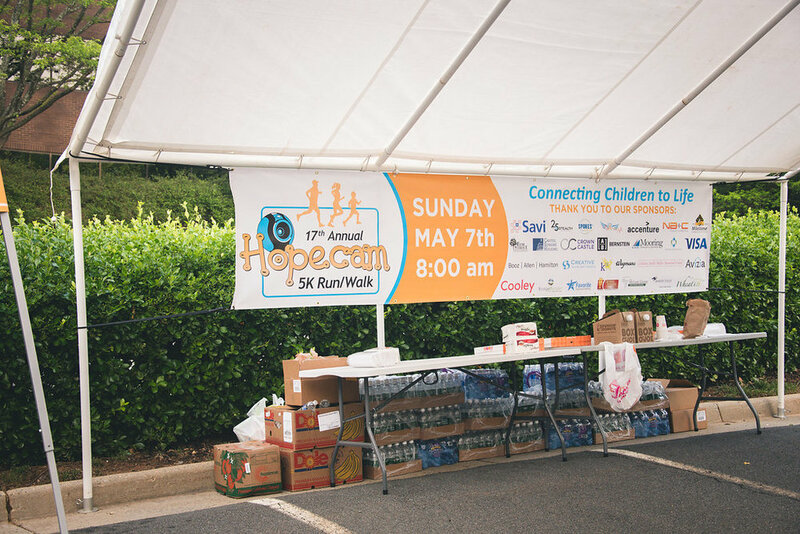 “While technology advances have made it easier for kids today to stay connected, Hopecam is committed to helping those who can’t afford those solutions.” Seventy percent of the children Hopecam helps attend “Title One” schools, meaning the majority of students need assistance and are entitled to receive subsidized meals. 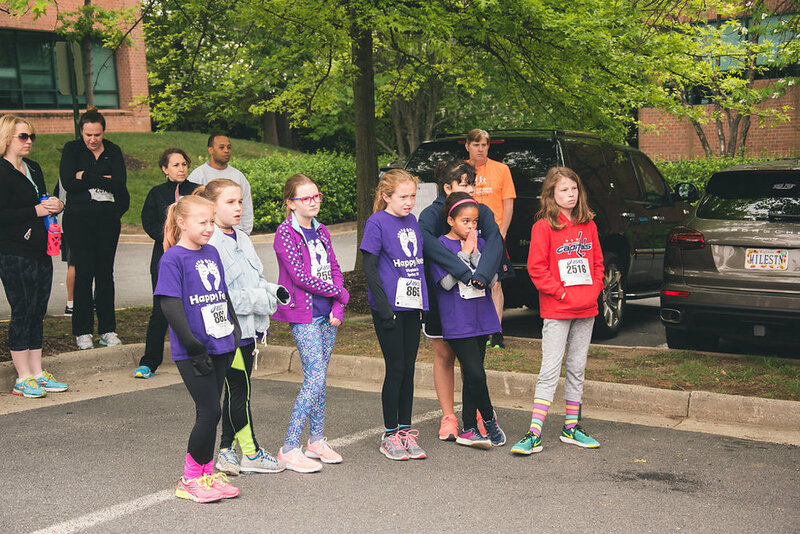 Half of them receive treatment at St. Jude Children’s Research Hospital. 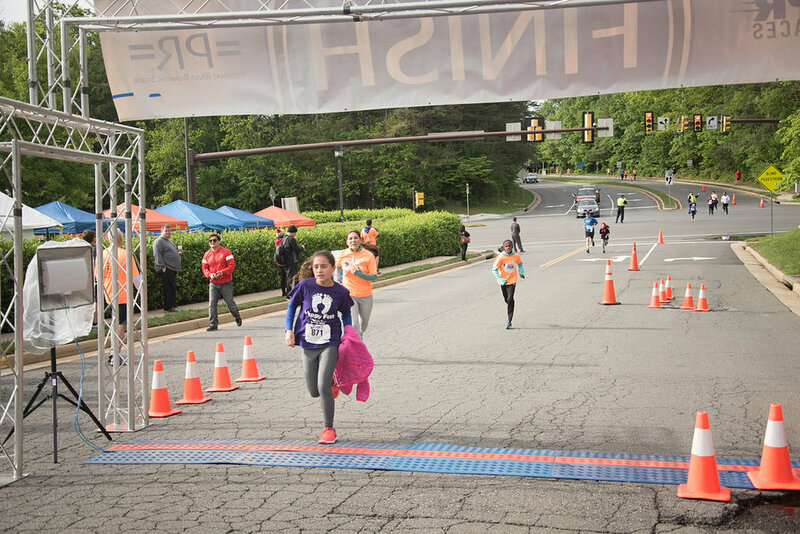 Hopecam now provides tablets with built-in webcams and Internet access, for kids who don’t have them. 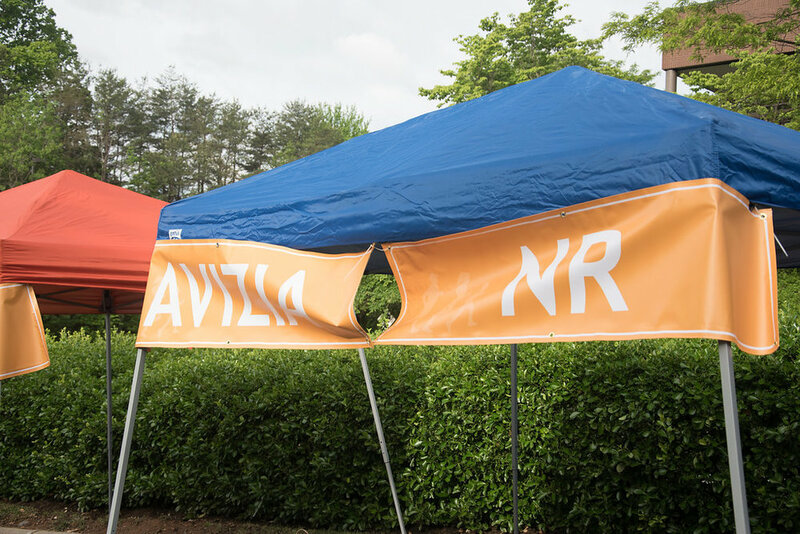 The nonprofit also liaises with the child’s school to establish a regular connection so he or she can participate in classroom activities and see and talk with their friends. 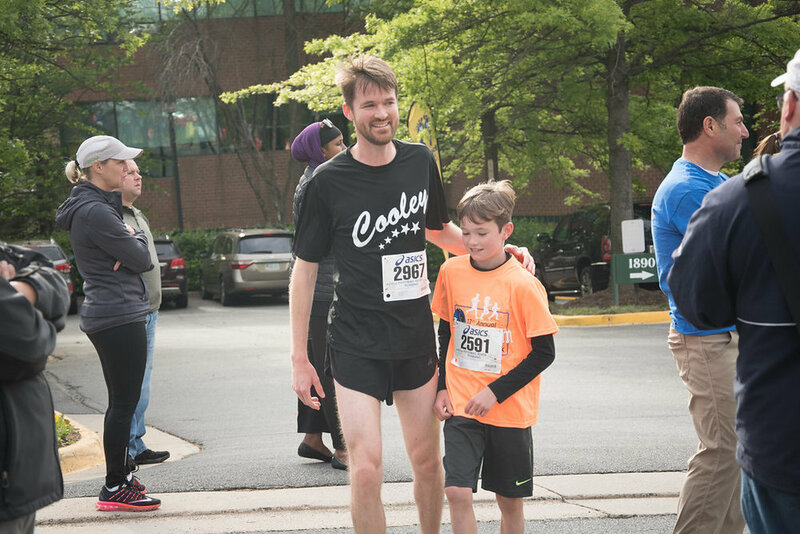 “This connection is invaluable for the child in recovery, but it is also a lesson for the other children in the class. 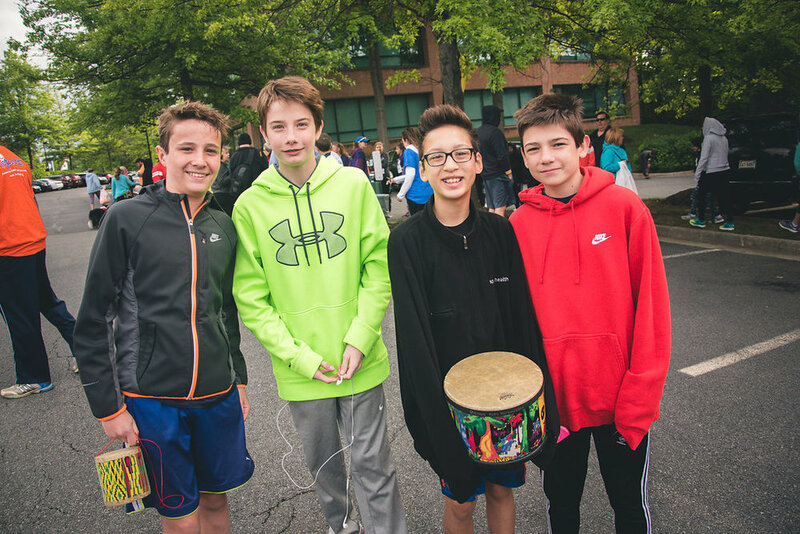 They learn a lot about empathy and it removes some of the mystery of the illness when their classmate is gone,” Forkas said. 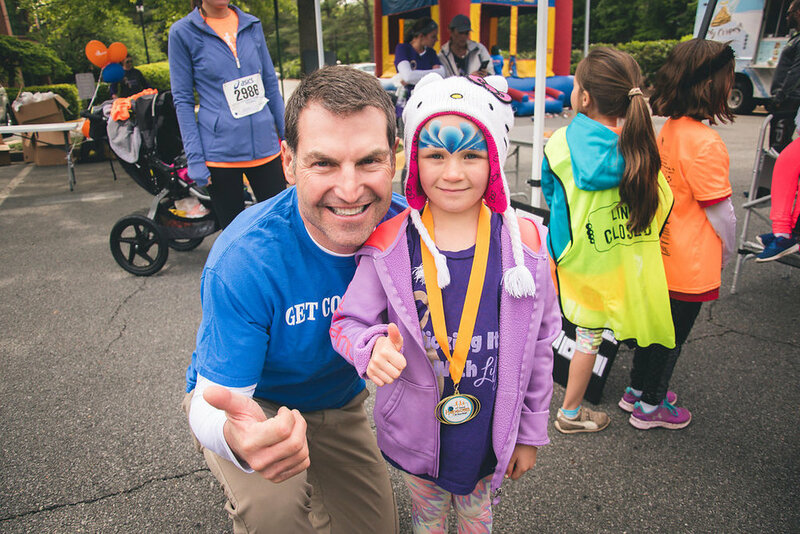 Each year, approximately 15,000 children in the United States are diagnosed with cancer, and more than 40,000 undergo treatment for cancer. 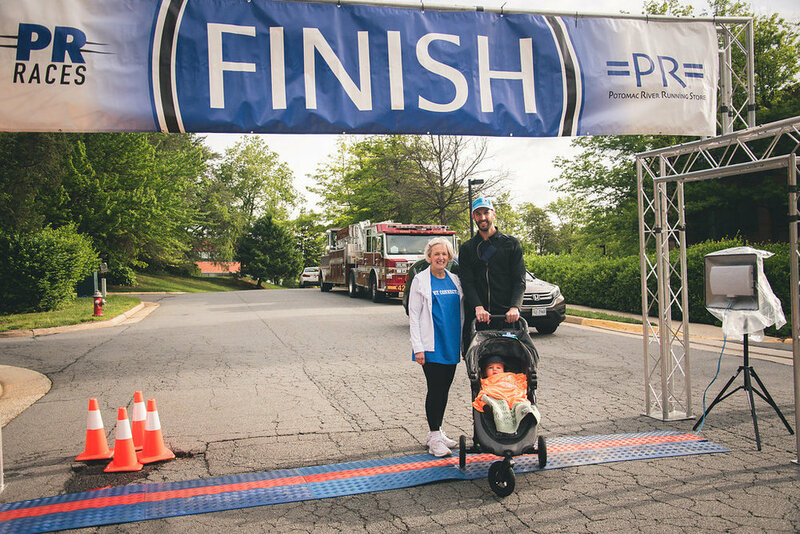 Today, Forkas’ son Matt is a graduate of Stetson University in Florida. 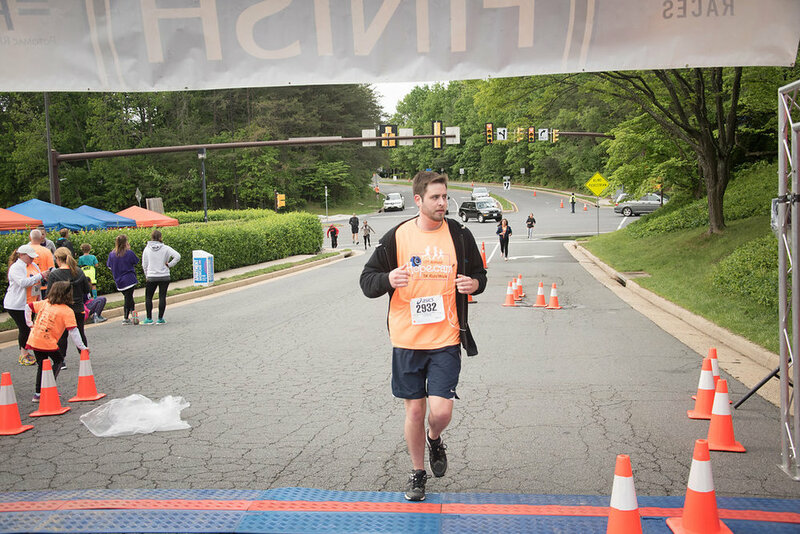 He works in the real-estate industry, lives in Arlington, Virginia and is completely cancer free. 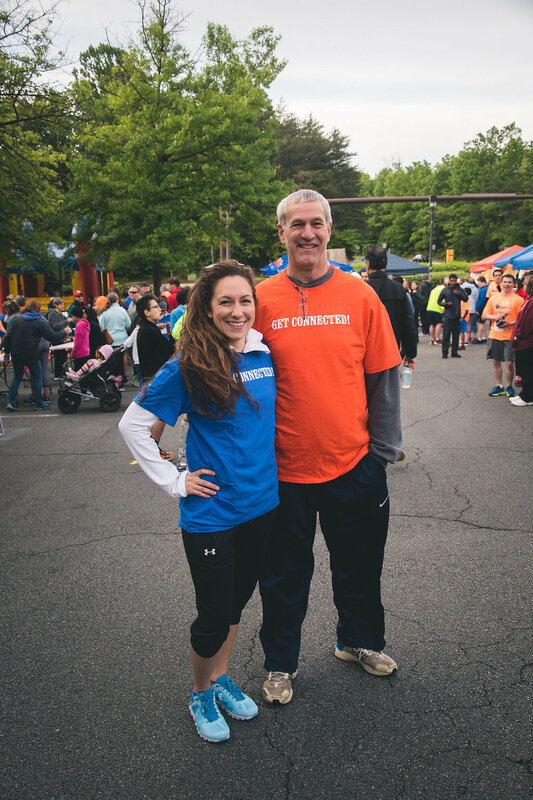 Len Forkas is the founder and CEO of Milestone Communications, a wireless tower company based in Reston, Virginia. 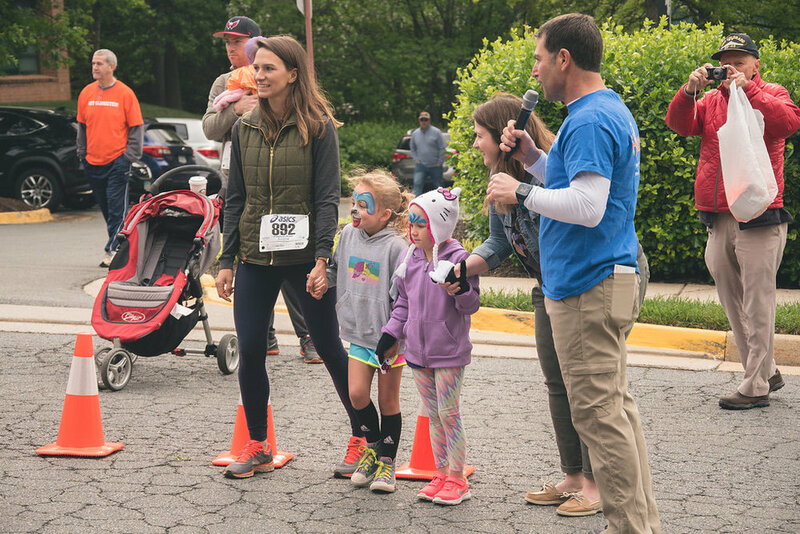 He is also the founder and chairman of Hopecam, a nonprofit that helps kids undergoing cancer treatment stay connected to their classmates, friends and support networks. 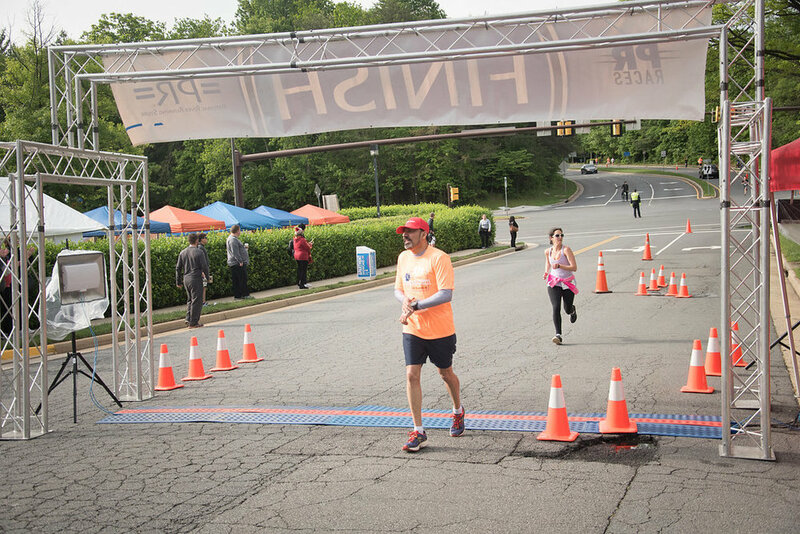 In 2014, he authored, “What Spins the Wheel,” a book about the leadership lessons he gained from his Race Across America. 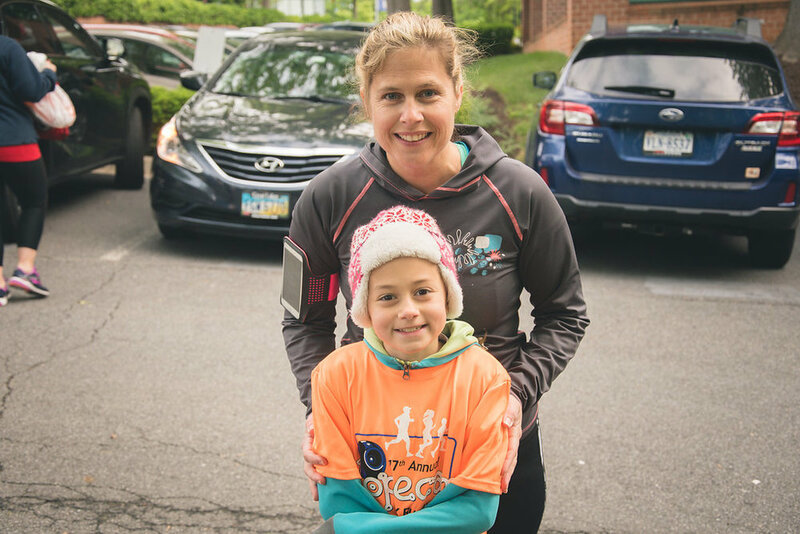 To schedule an interview with Forkas, please contact Lara Shane, larashane2003@yahoo.com.